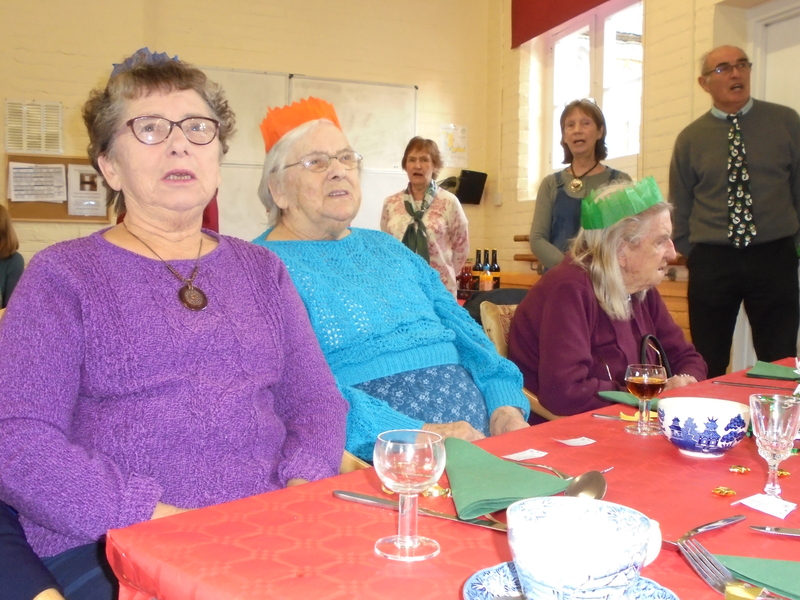 The children enjoyed a special Christmas lunch this week, thanks to school caterers HC3S and crackers provided by FJSA. 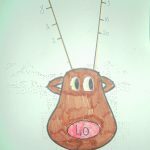 The blog will be back in 2018! 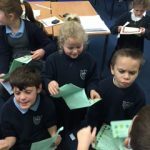 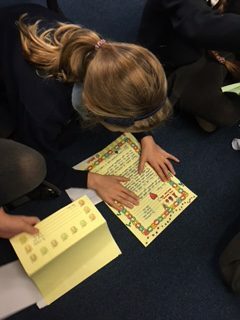 Year 3 receive a letter from the Elves! 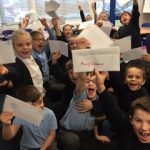 A very special delivery arrived in 3CE on Wednesday, a package from the North Pole. 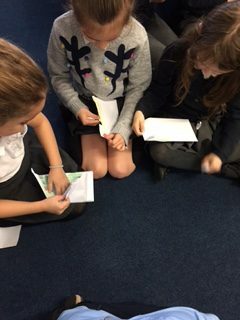 Everyone received a letter and we couldn’t rip off the envelope quick enough to find out what was inside. 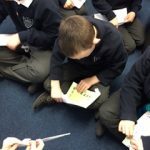 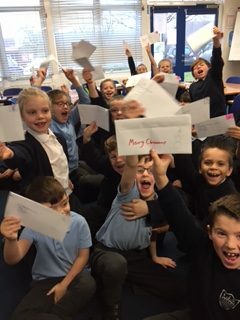 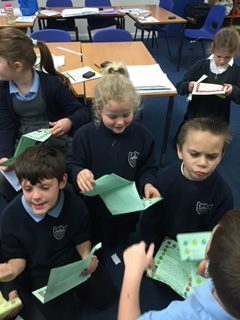 Year 3 had written letters to the Elves and we were so excited to get a personal reply. 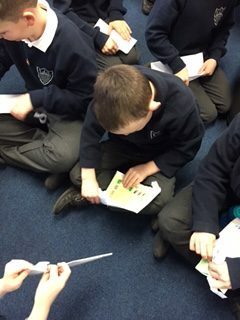 We loved hearing all about the Elves and thought it was great they had answered our questions from the letters to them. 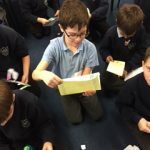 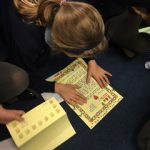 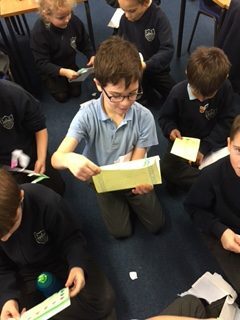 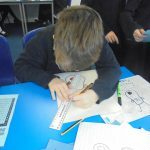 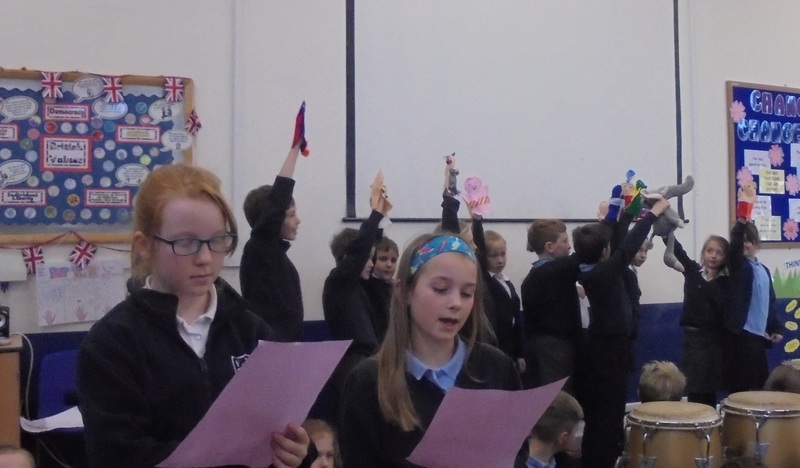 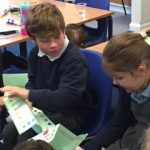 Year 4 have been challenged with needlework skills this half term – making puppets based on characters from the Firemaker’s Daughter by Phillip Pullman. 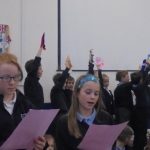 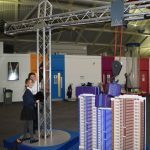 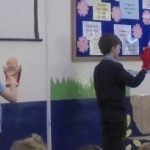 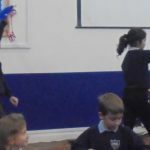 The puppets were then the stars of a show for parents and carers, accompanied by the children’s musical compositions and extracts from the book. 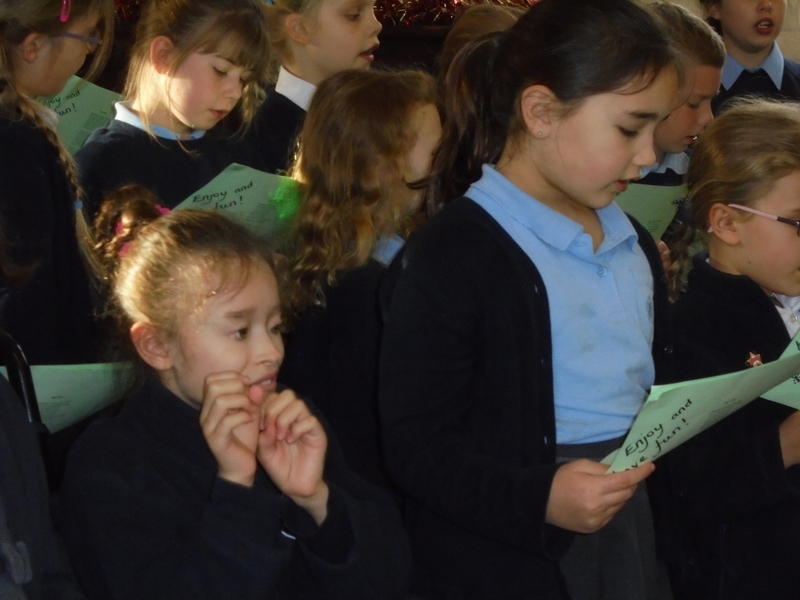 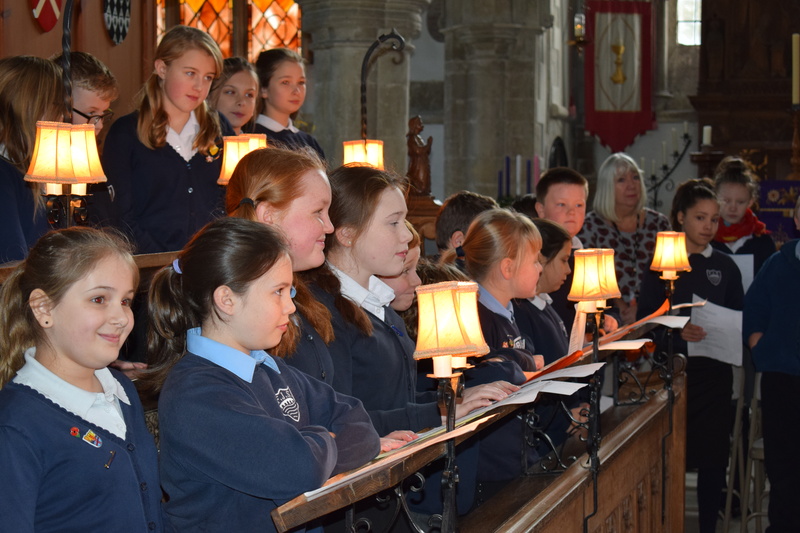 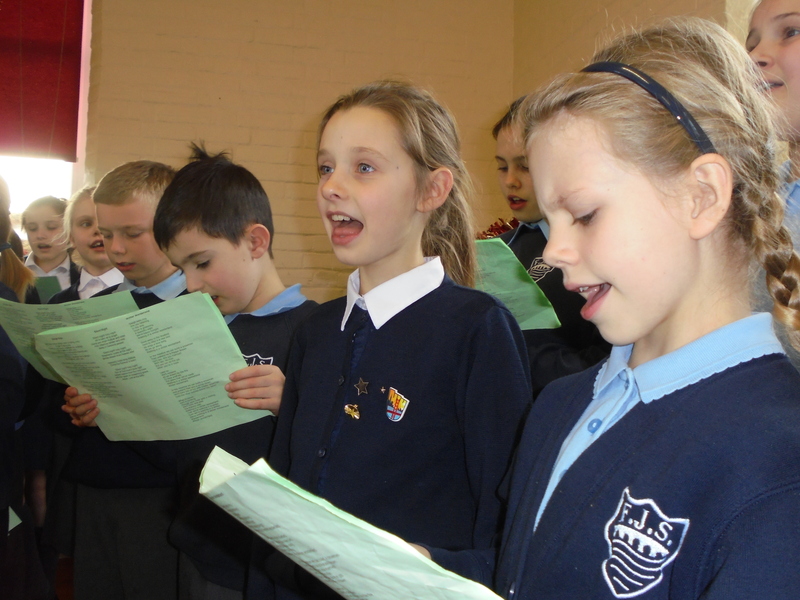 The school community enjoyed another lovely evening at the annual FJS Carol Service last week. 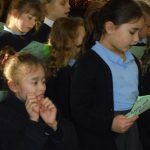 With ukulele playing from Year 3; a take on Rudyard Kipling’s ‘If’ from Year 4; a wonderfully mouthwatering round from Year 5; and beautiful reading and singing from Year 6; the evening was a great success and a truly festive occasion. 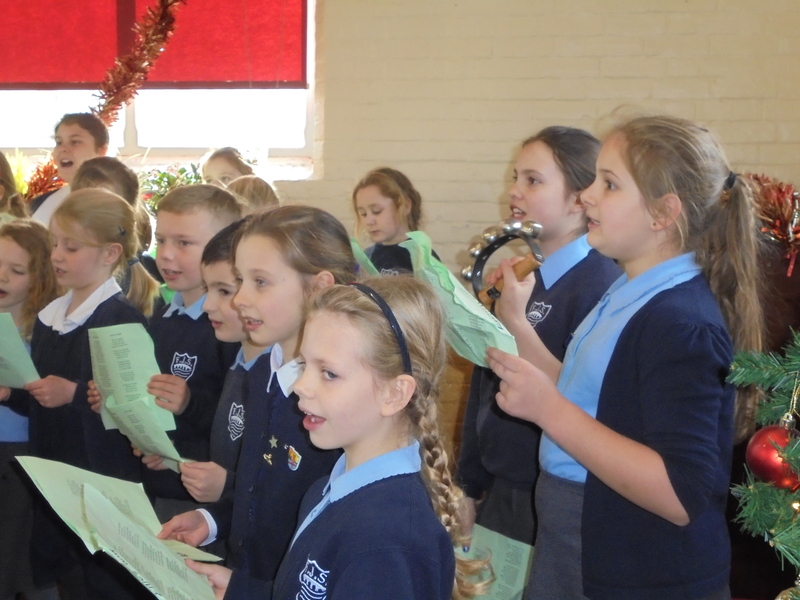 The school choir and orchestra also did us proud. 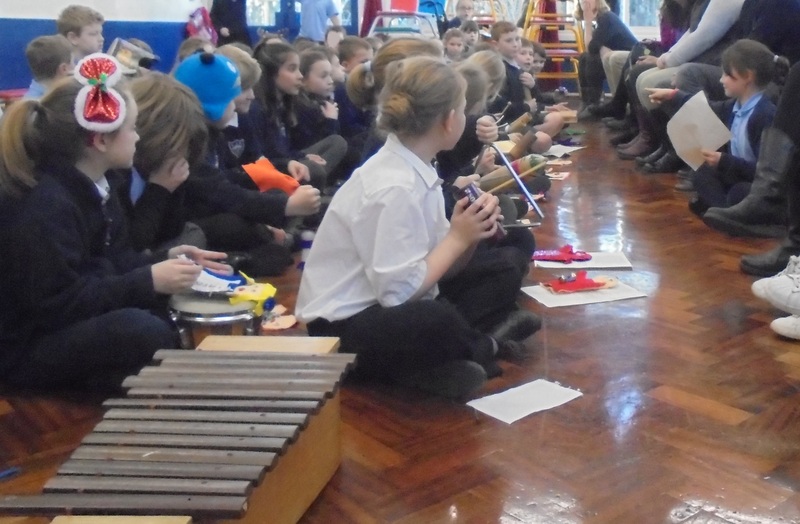 Thank you to all who came along to join in and to the children and staff for their hard work. 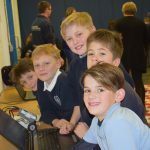 It’s been business as usual for school governors in the last couple of weeks, with governors visiting school on many occasions. 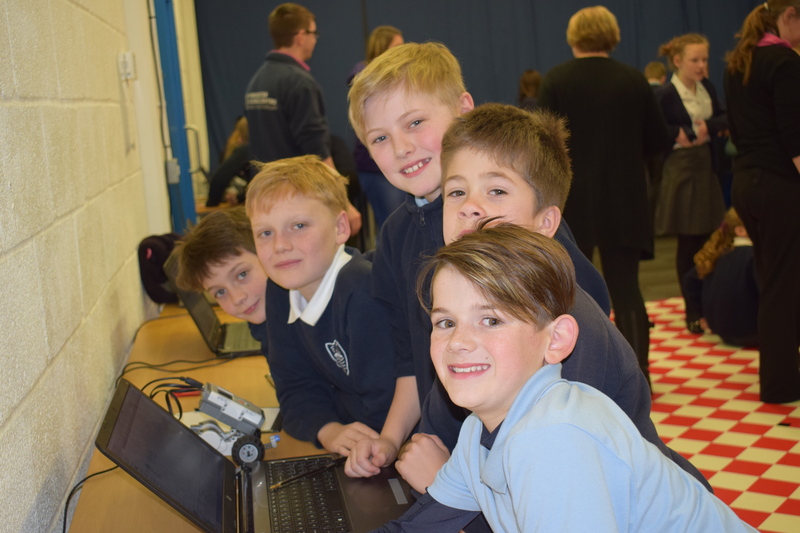 The Curriculum and Welfare Committee met to discuss the first set of school performance data and were also interested to see presentations from Mrs Robertson about the geography and history curriculum and about the software the school uses for recording any welfare or behaviour concerns. 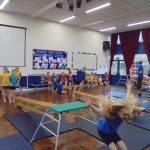 The software is particularly useful in building a picture of patterns of behaviour or concern, by bringing together individual pieces of information logged by different members of staff. 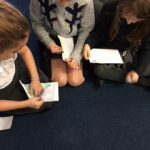 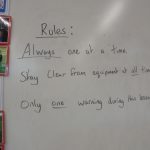 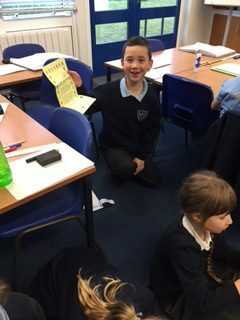 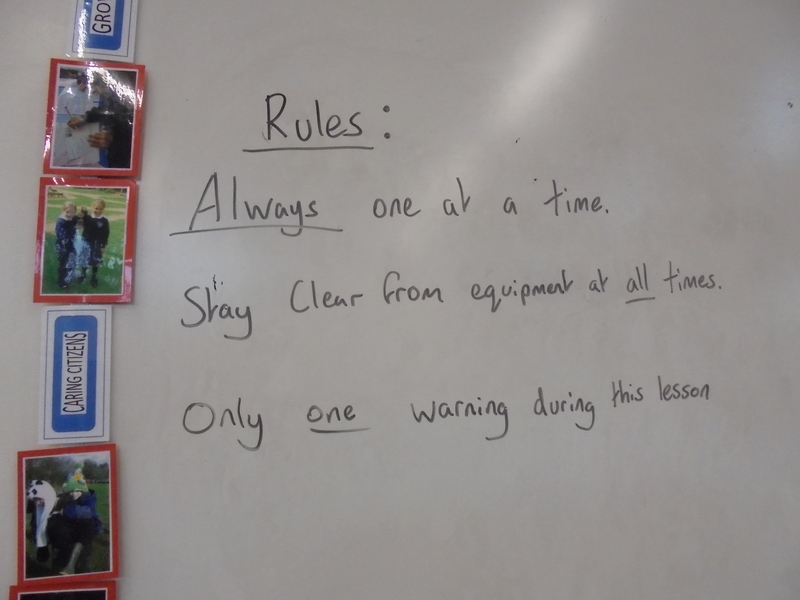 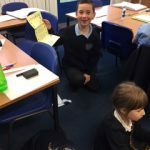 Link Governors have also been into school to discuss specific subject areas with their leads, including Maths with Mr Woodger, English with Mrs Ovenden and Behaviour with Mrs Robertson. 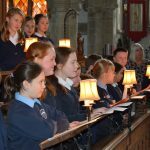 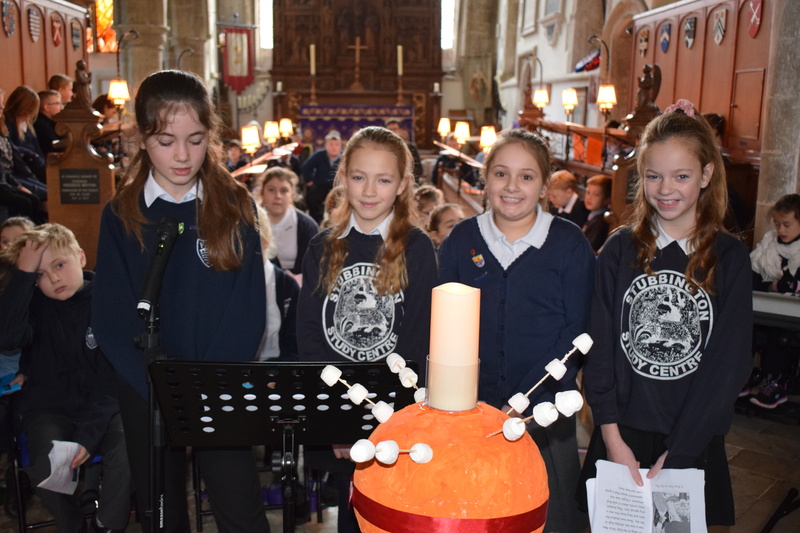 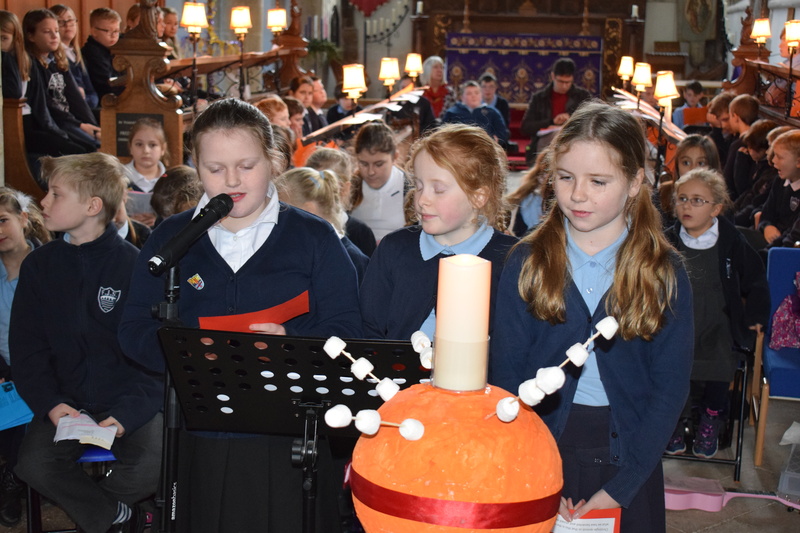 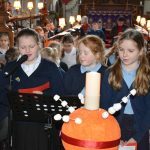 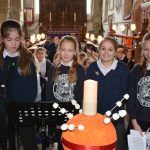 As well as the more ‘serious’ side of school life, we have also been privileged to spend time with children, enjoying work sharing events and the walk to and from church – congratulations to all the children and staff on a lovely, festive and well-executed Christmas Service at St Mary’s! 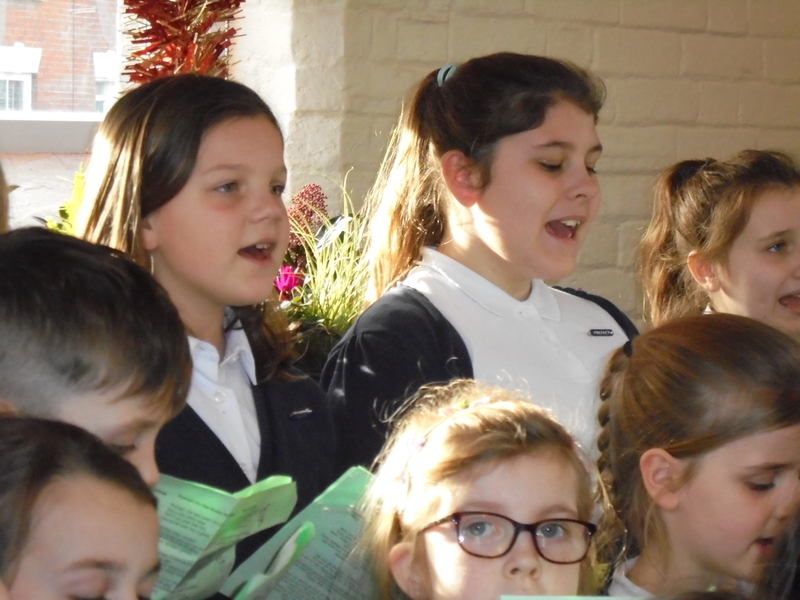 A very Merry Christmas and a Happy New Year to all of our school community – here’s to 2018! 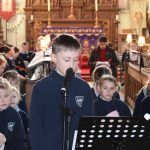 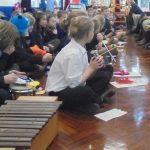 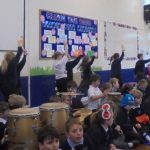 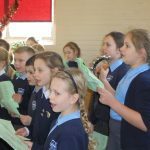 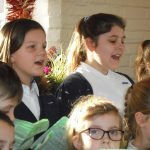 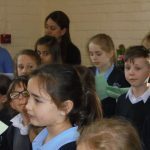 School Choir – Jingle All the Way! 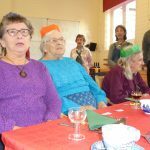 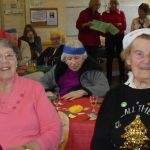 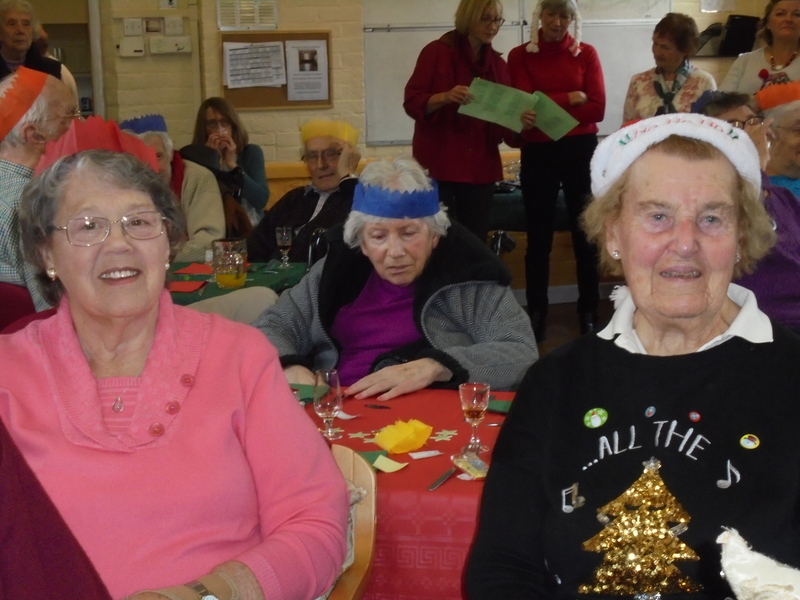 Oh what fun …..we all had singing Christmas Carols and songs to the delightful pensioners at their Christmas Lunch at Avonway Community Centre today. 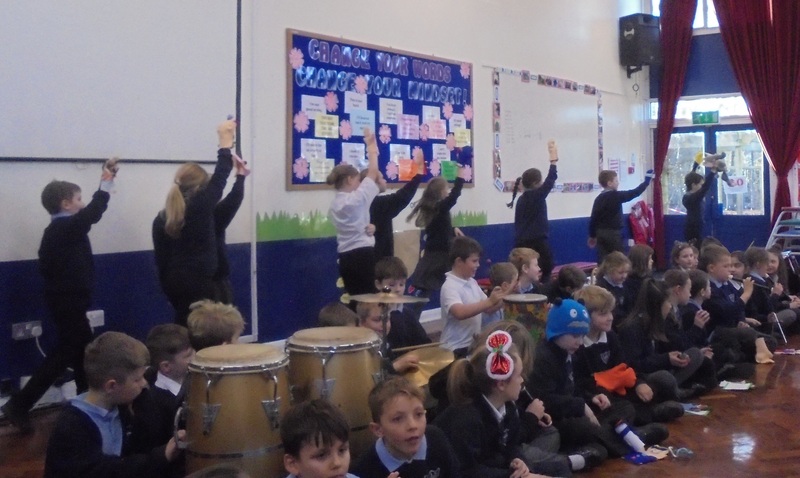 Some 30 very excited children wrapped up warm to walk to the venue before their centre-stage performance. 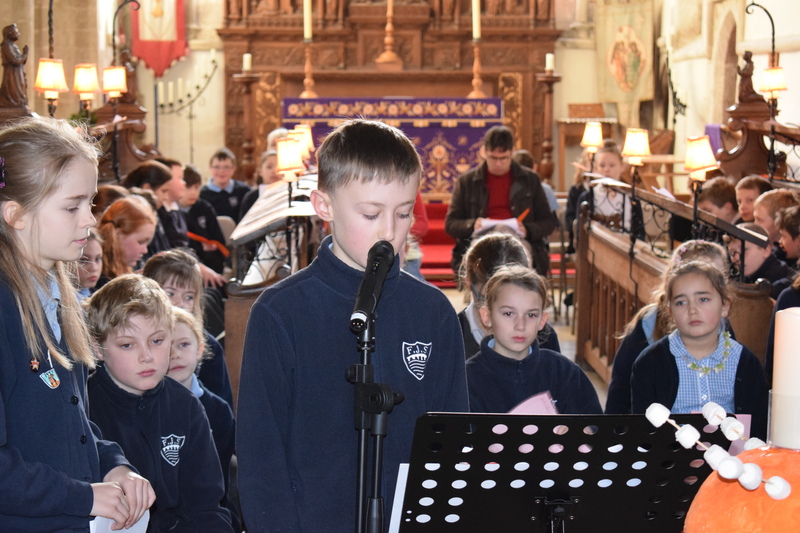 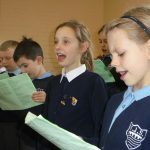 Once in Royal David’s City, Away in a Manger and Winter Wonderland were just some of the songs that the choir sang to entertain the audience – some of whom could not resist joining in too. 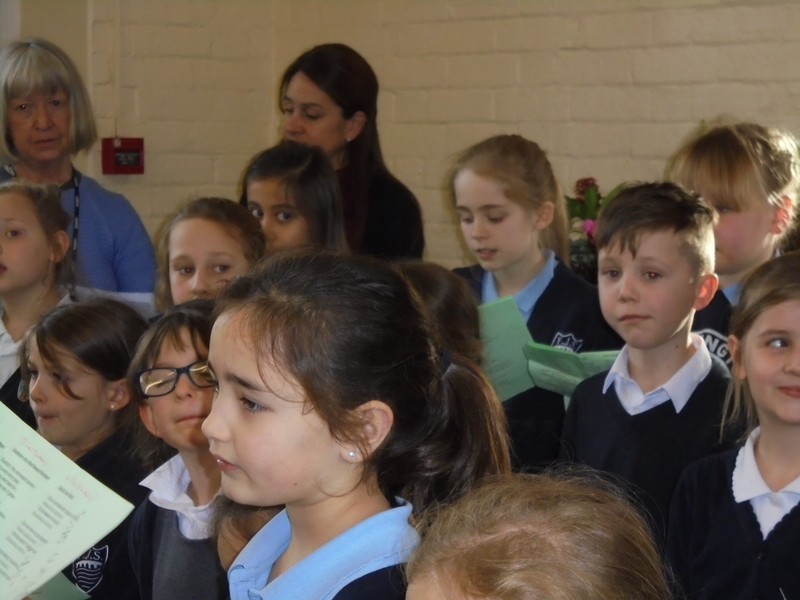 Once again, the choir were amazing and sang beautifully. 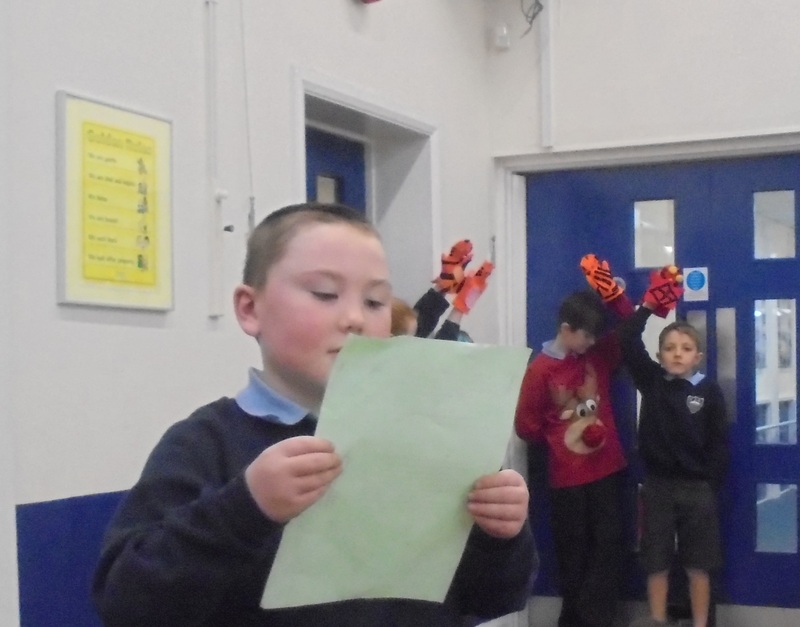 Thank you also to the wonderful helpers. 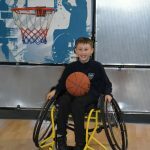 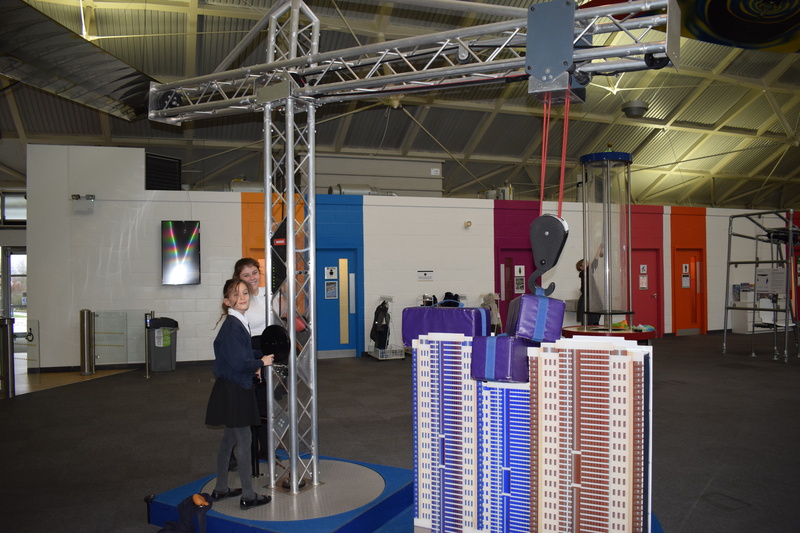 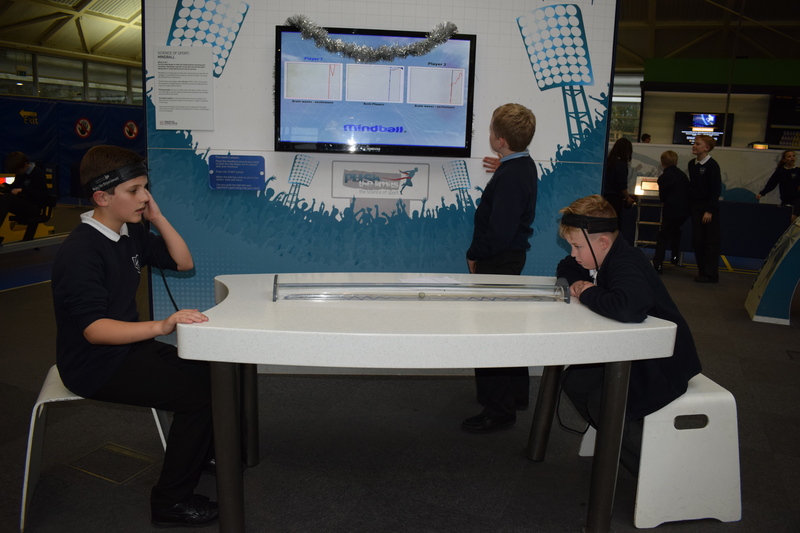 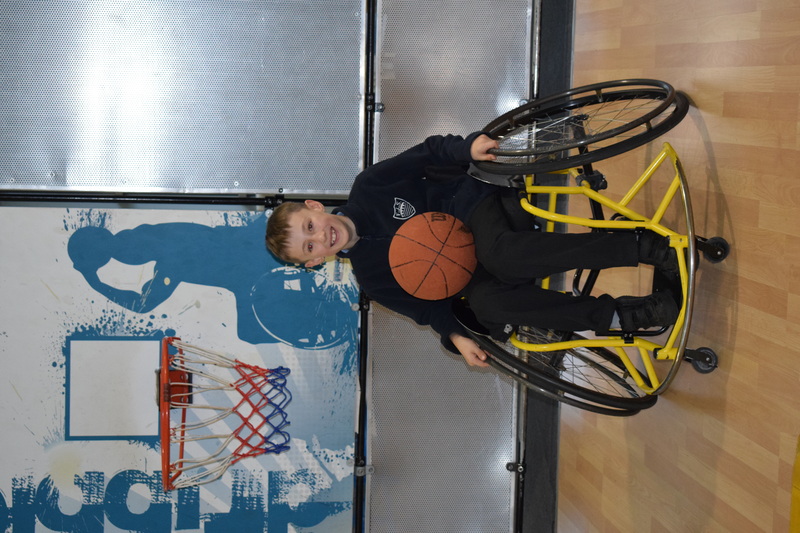 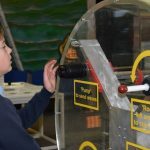 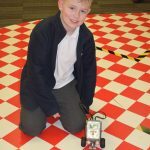 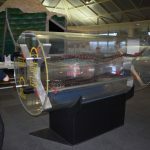 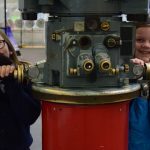 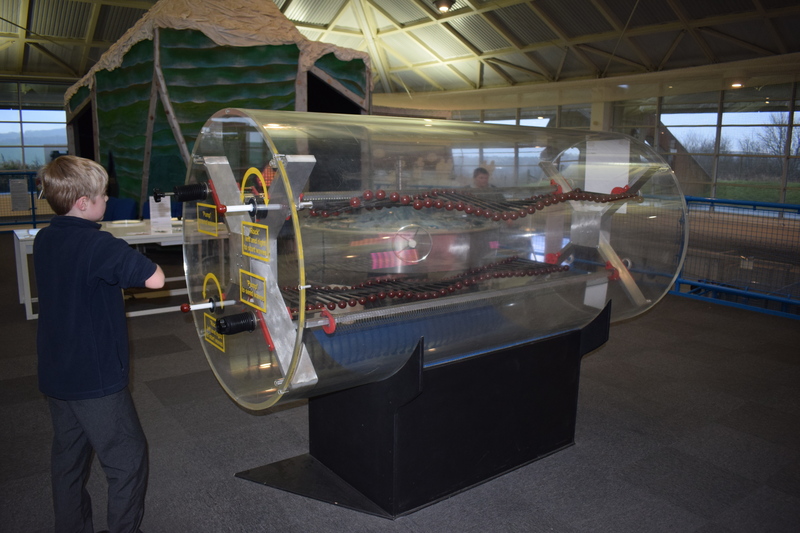 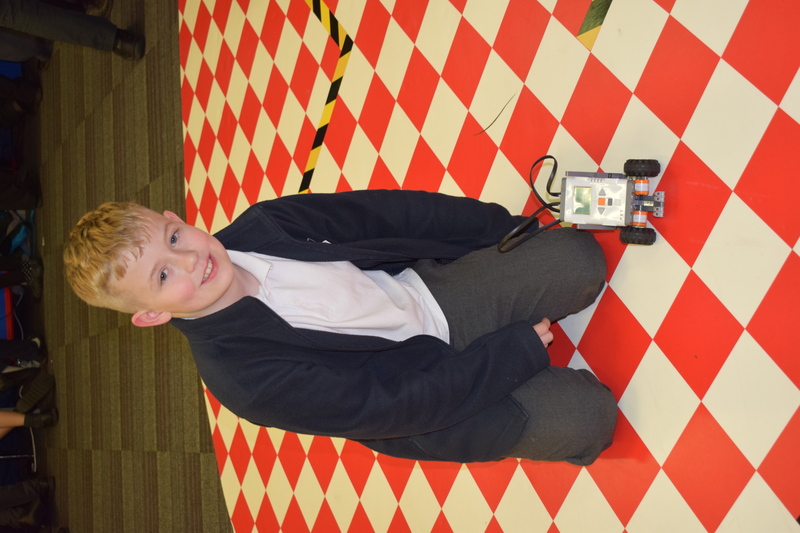 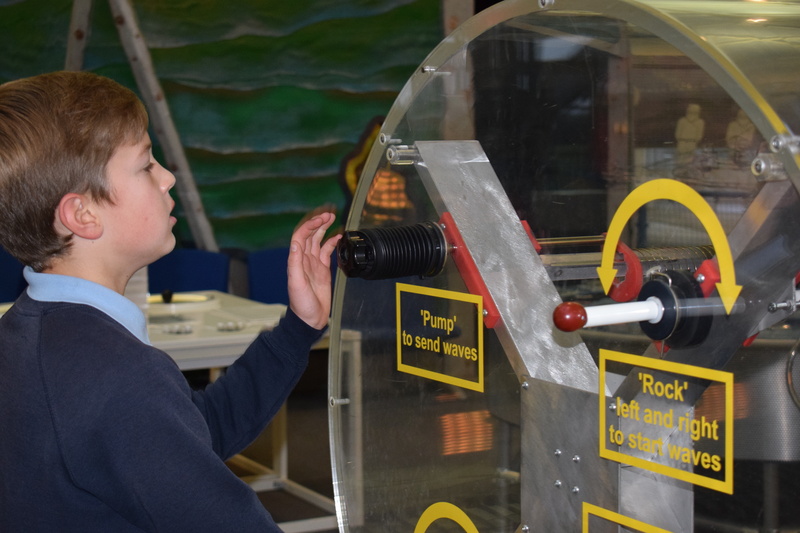 On Wednesday 13th December, the whole of Year Six went to Winchester Science Museum as part of our iRobot unit. 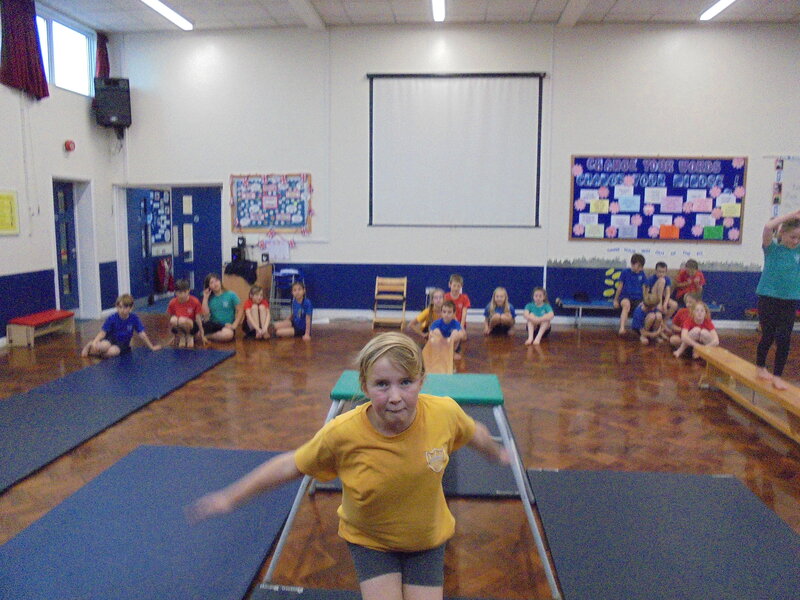 Although the start was a little delayed, we had a fabulous day. 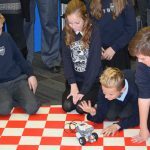 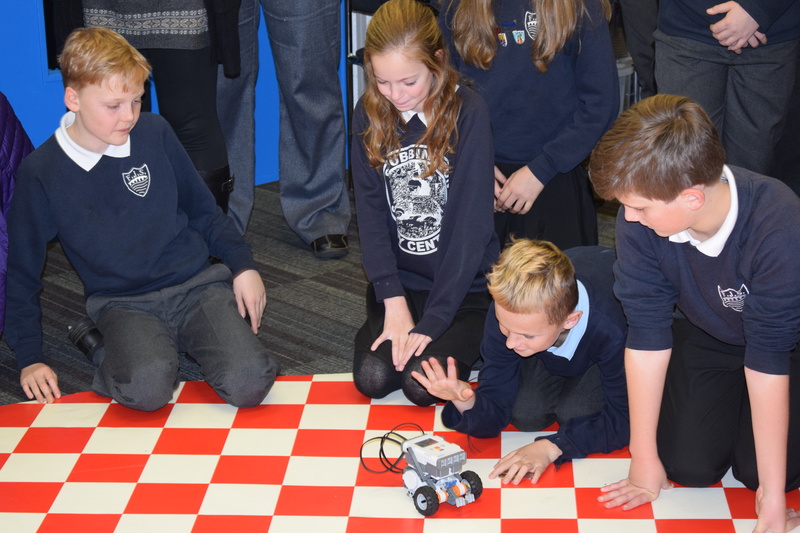 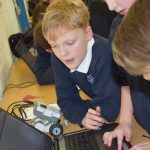 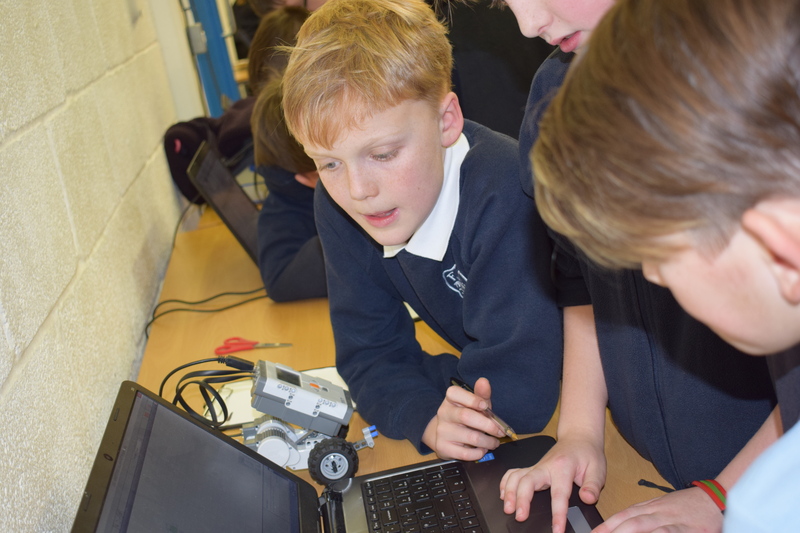 Each class had a 90 minute Lego Mindstorm session, where we had to program a robot to move over increasingly complicated courses. 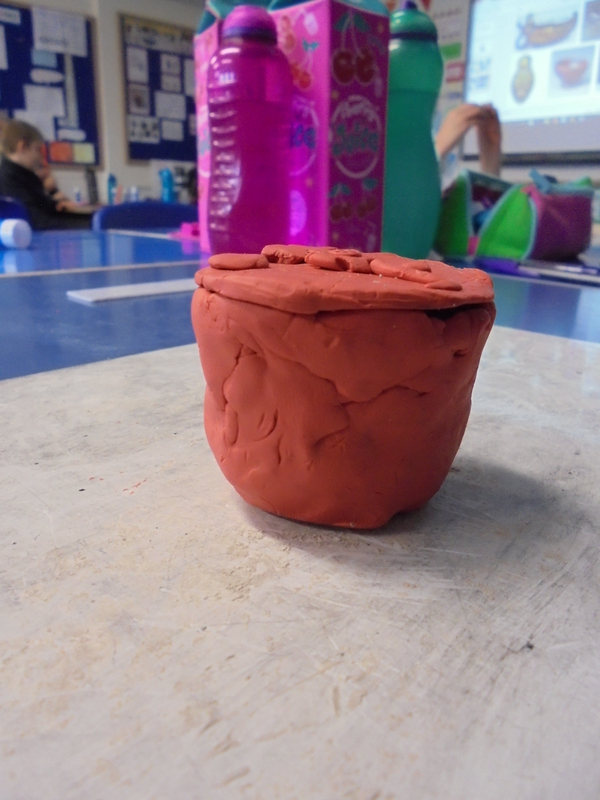 Resilience was required by the bucket load! 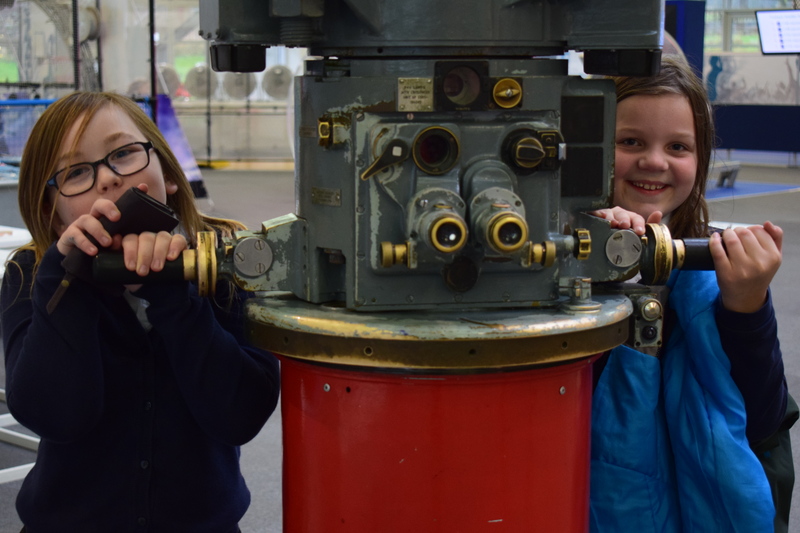 The rest of the time, we were able to explore the myriad of fantastic, interactive science exhibits. 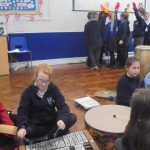 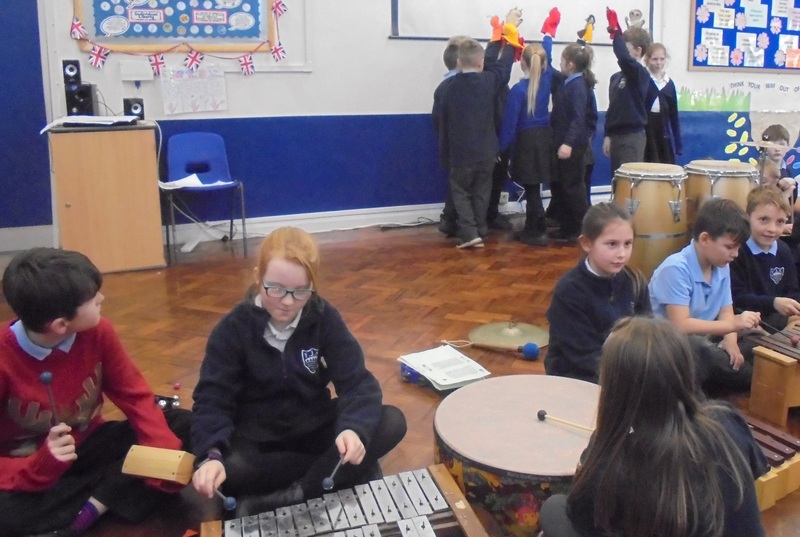 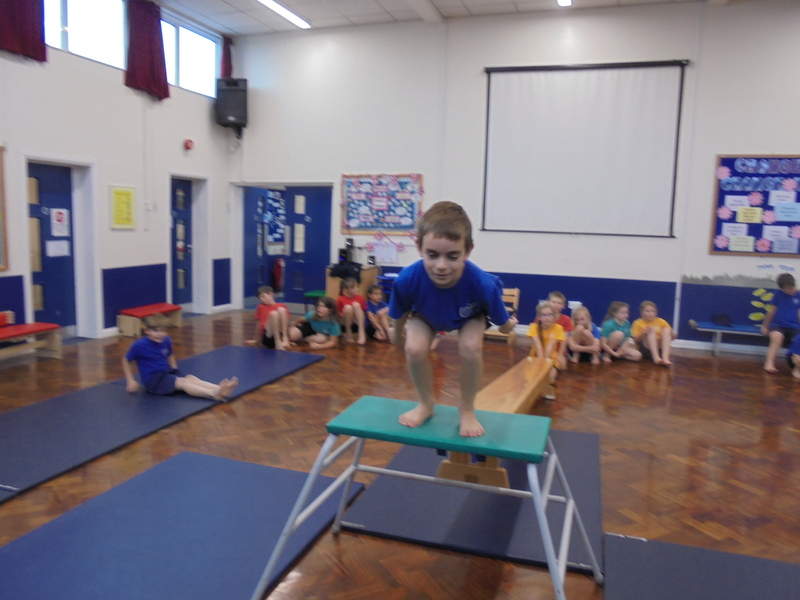 The enthusiasm of the children was superb and the behaviour exceptional. 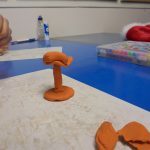 The manager of the museum fed back how impressed he was with the FJS children and how a group had helped a lost child by asking centre staff for help. 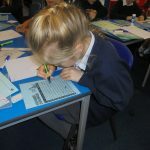 Thank you to all those who picked the children up late, so that we could have such a brilliant day out and a massive thank you to Mrs Reeves, Mrs Osborne and Mrs Martin who came with us. 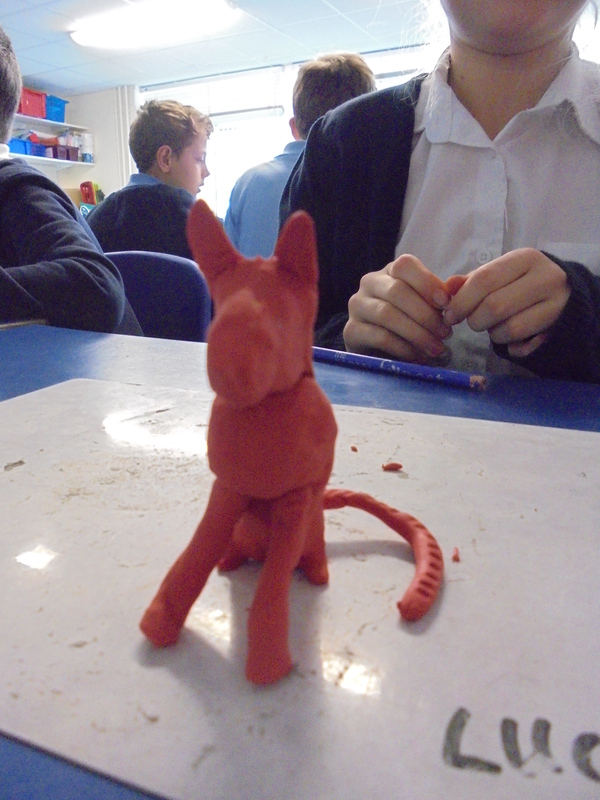 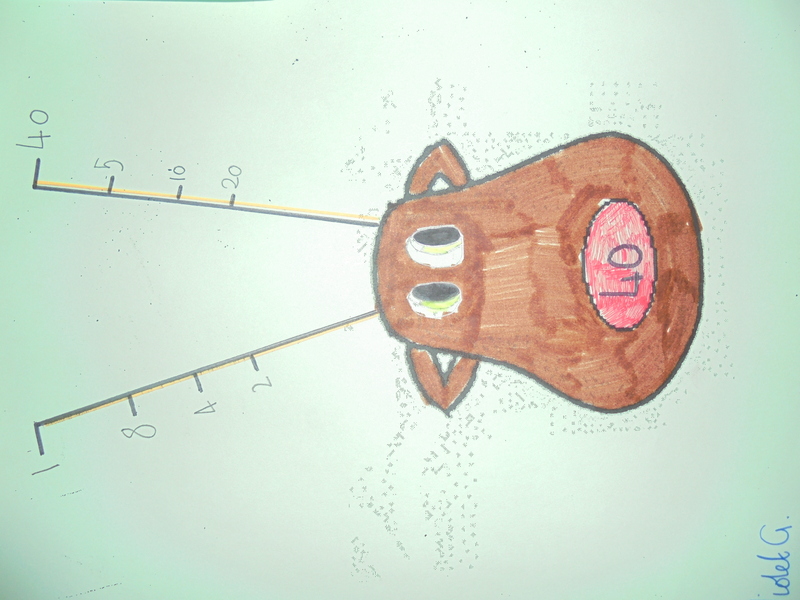 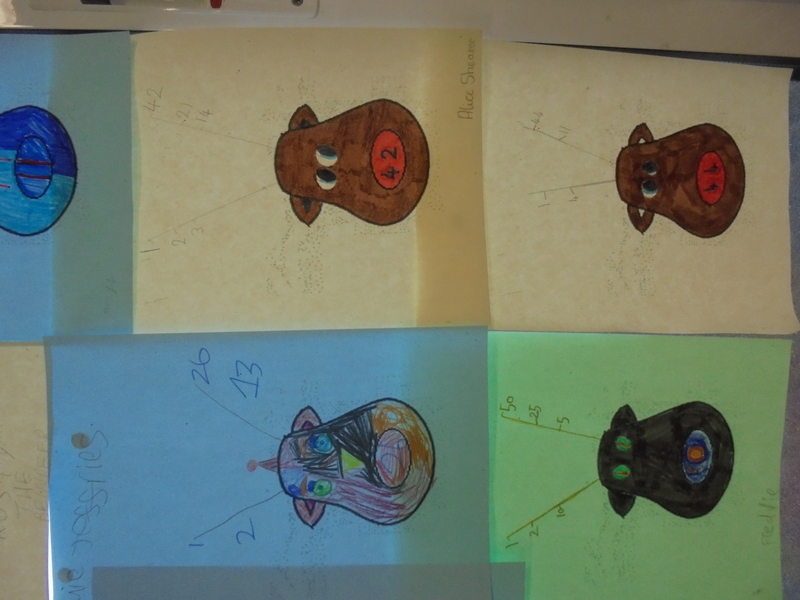 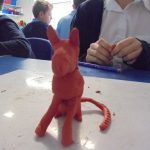 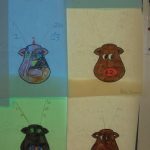 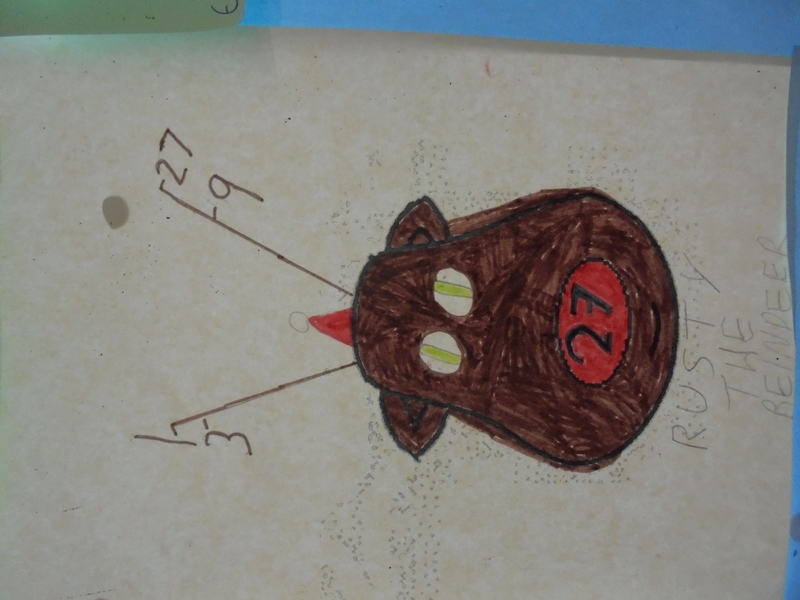 Year 4 have created Factor Reindeer. 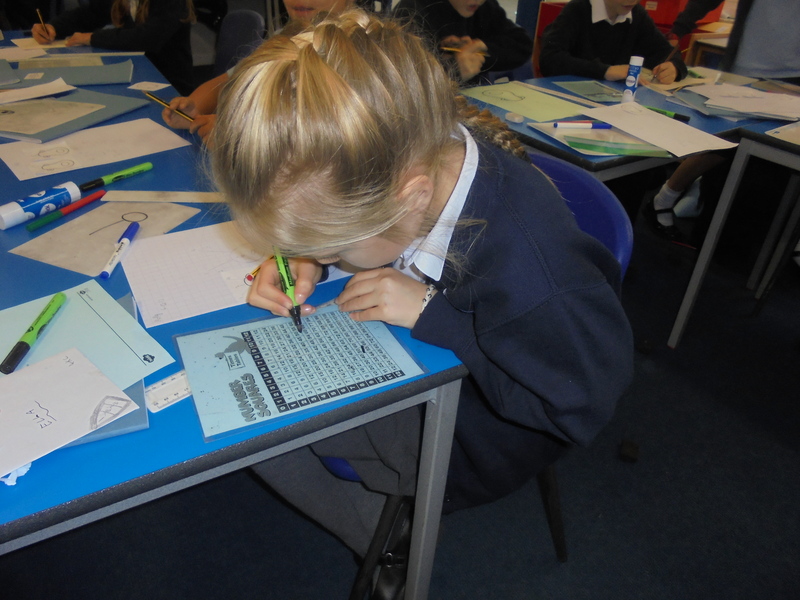 We used our knowledge of times tables to find the factors of a variety of numbers between 1-100. 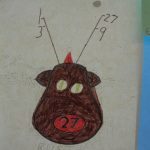 Some reindeer have a special antler spike when the same number is multiplied together – for example 25 have factors 1, 25 and 5. 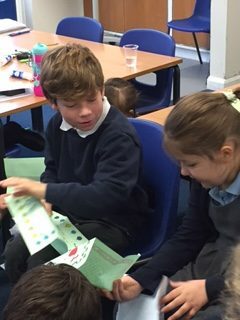 Santa sent us a special mission to find Factor Reindeer that only have 2 factors and these are called Prime Reindeer – they are very important and essential for Santa to pull his sleigh. 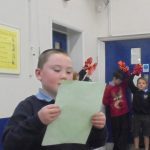 Can you think of any Prime Reindeer? 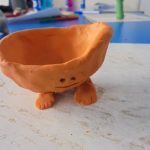 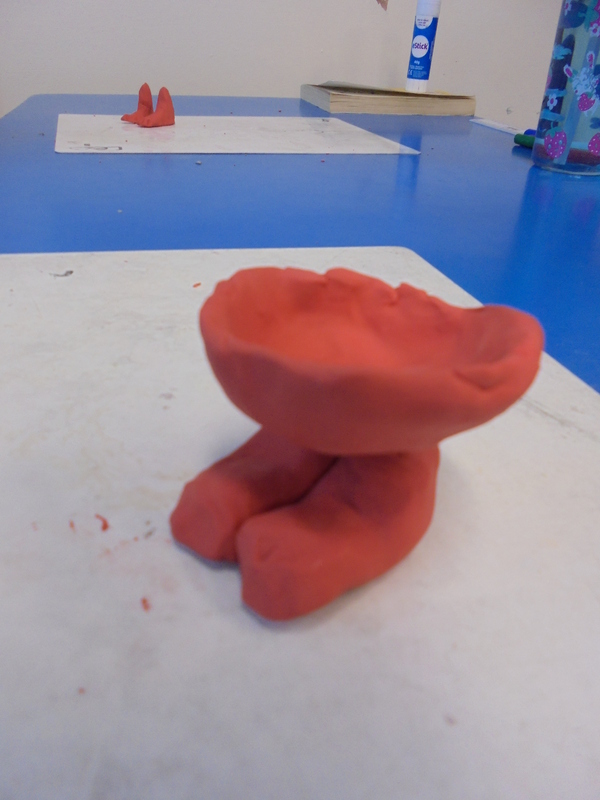 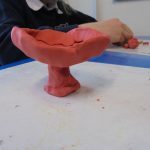 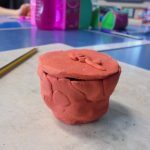 Year 5 have been going potty this week! 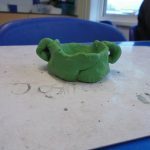 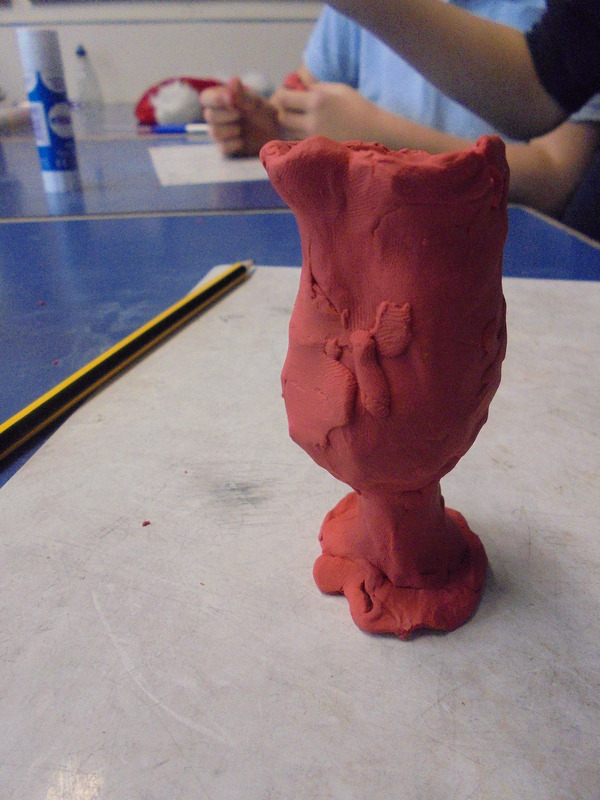 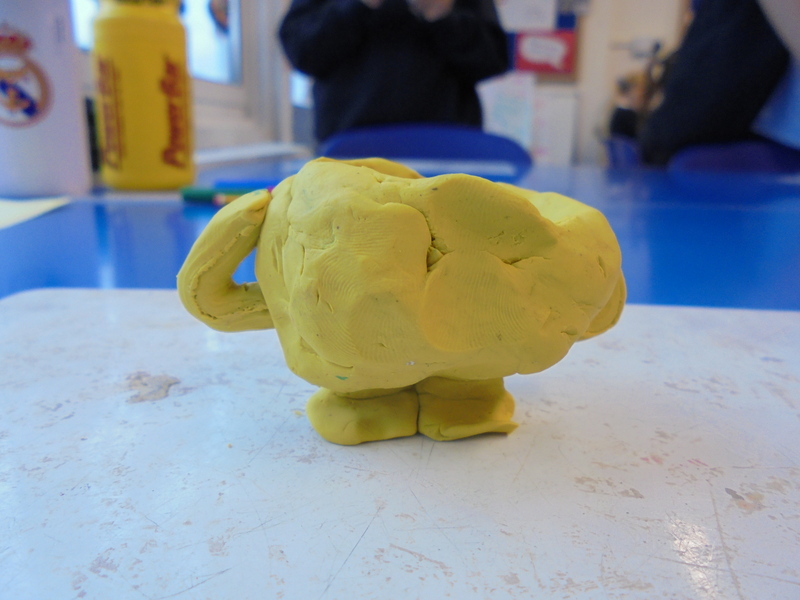 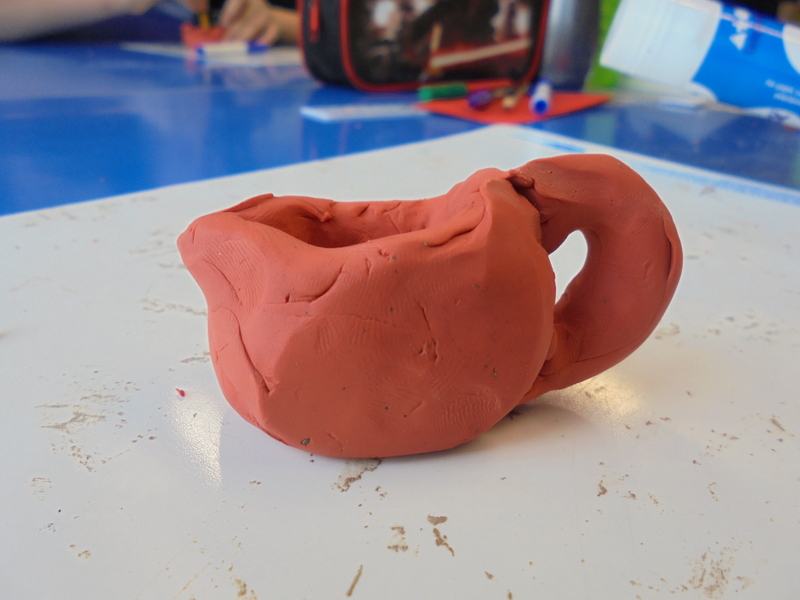 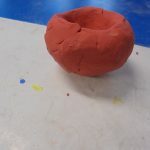 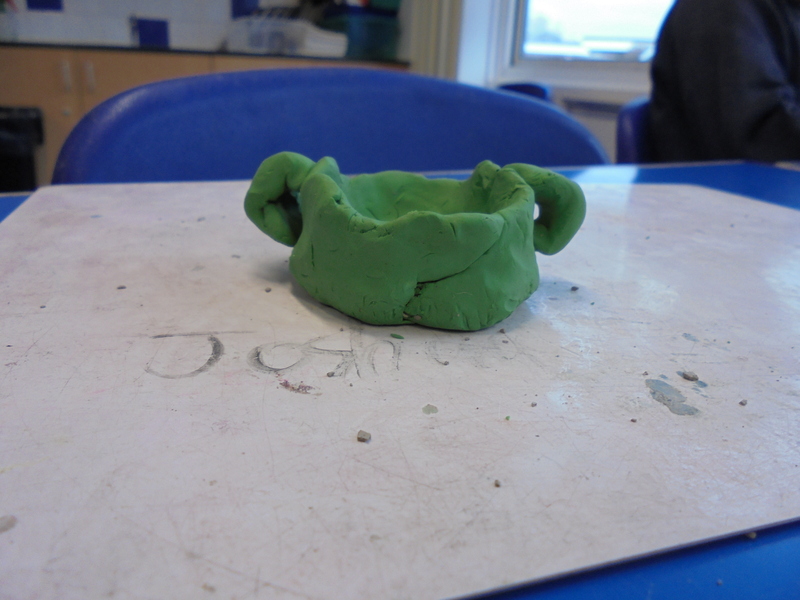 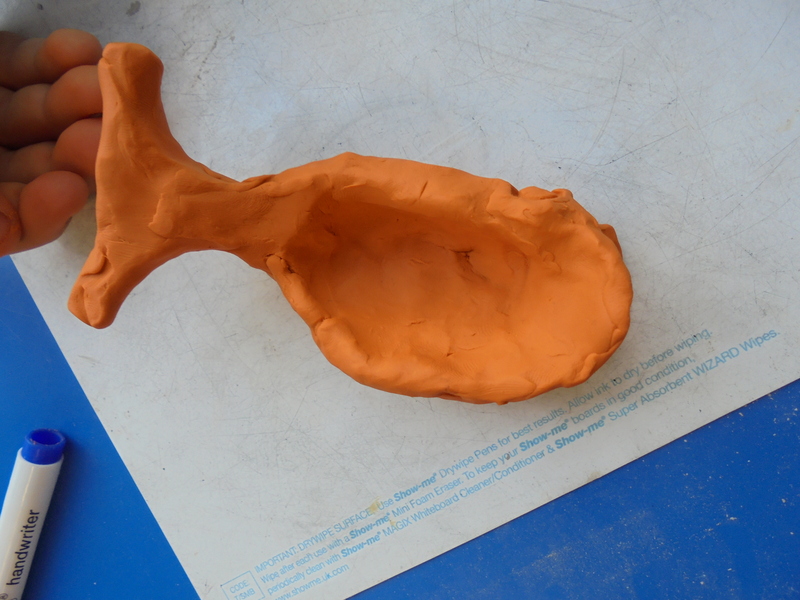 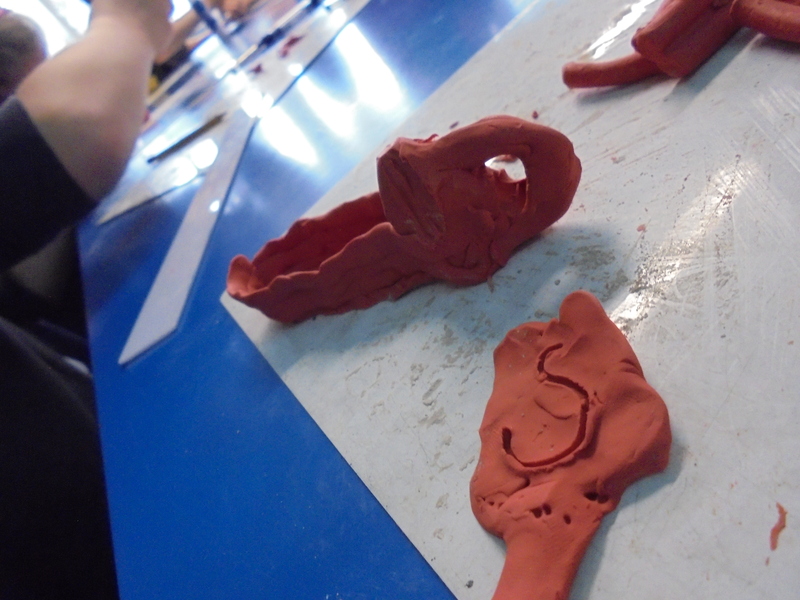 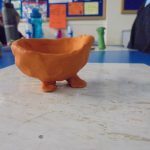 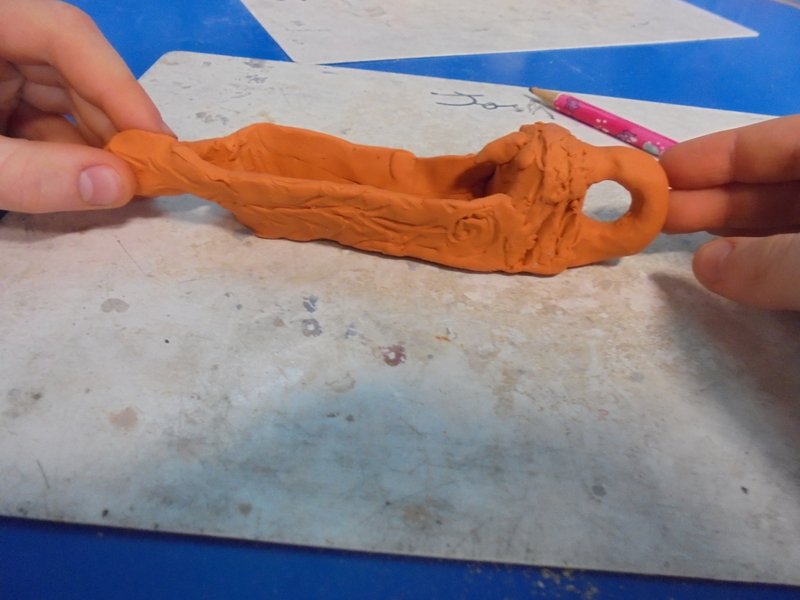 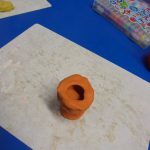 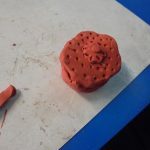 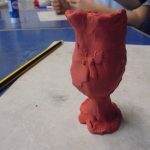 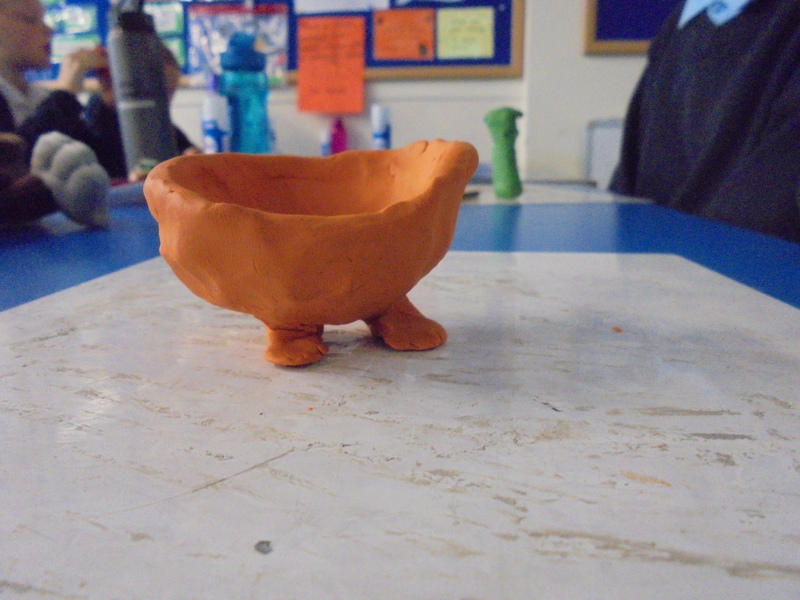 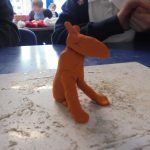 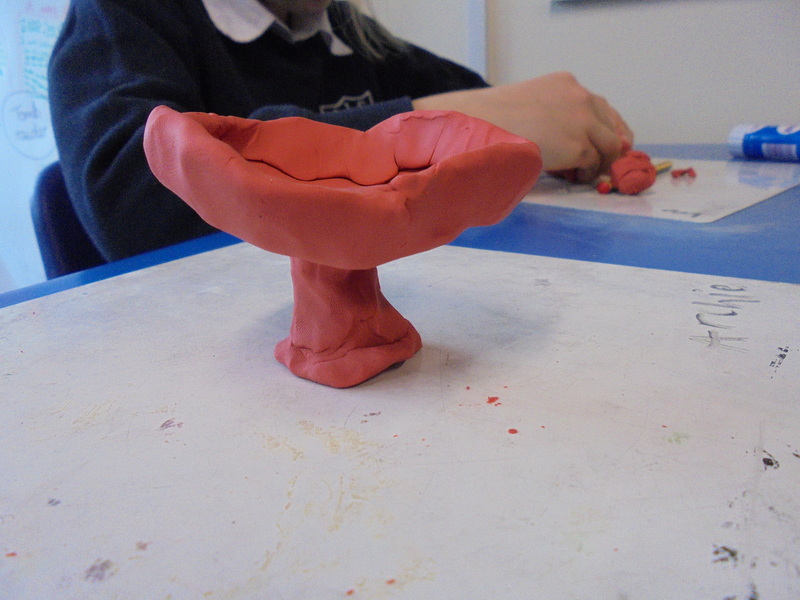 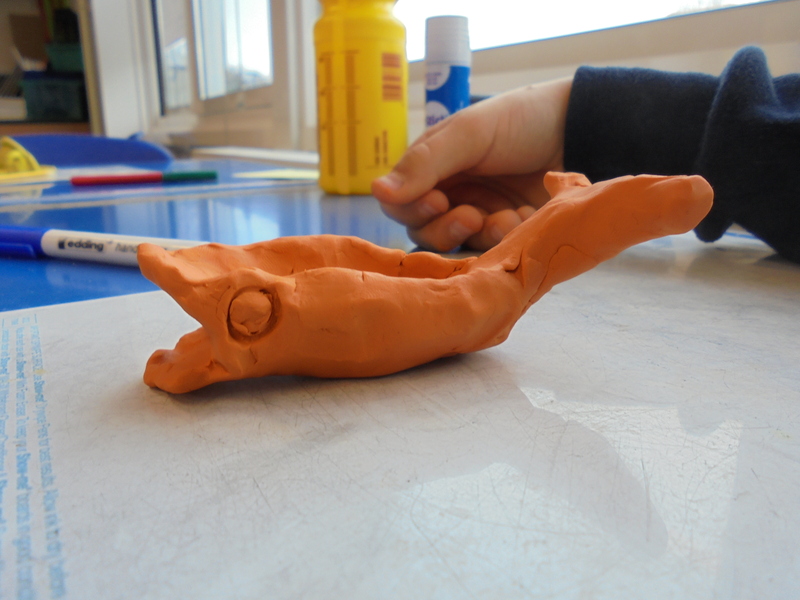 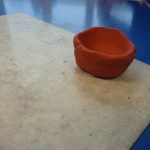 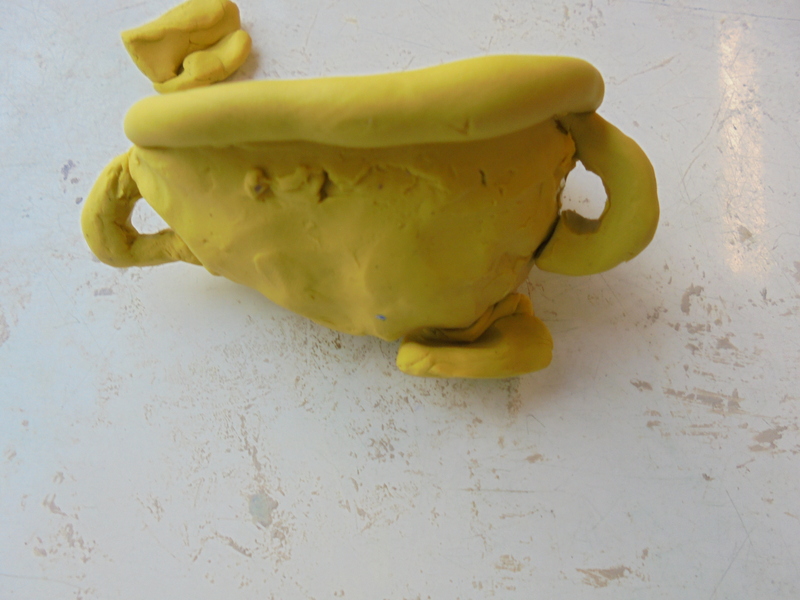 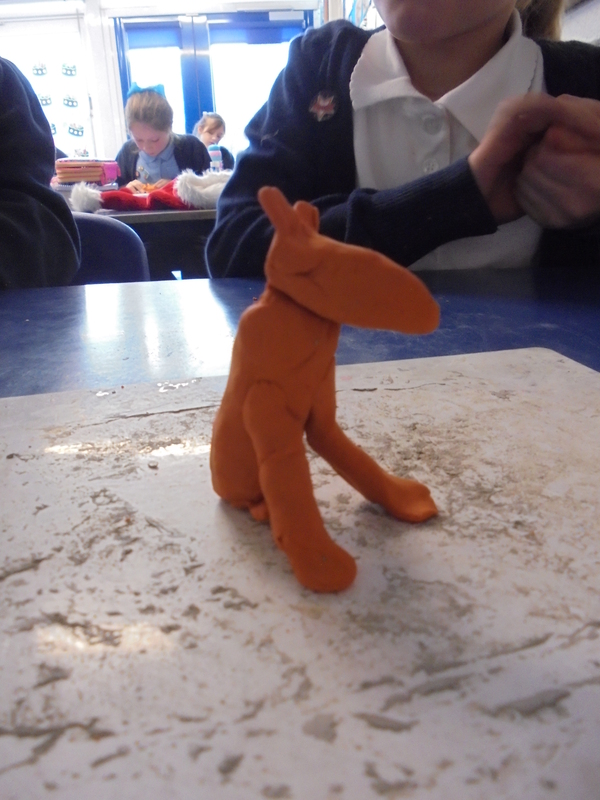 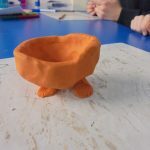 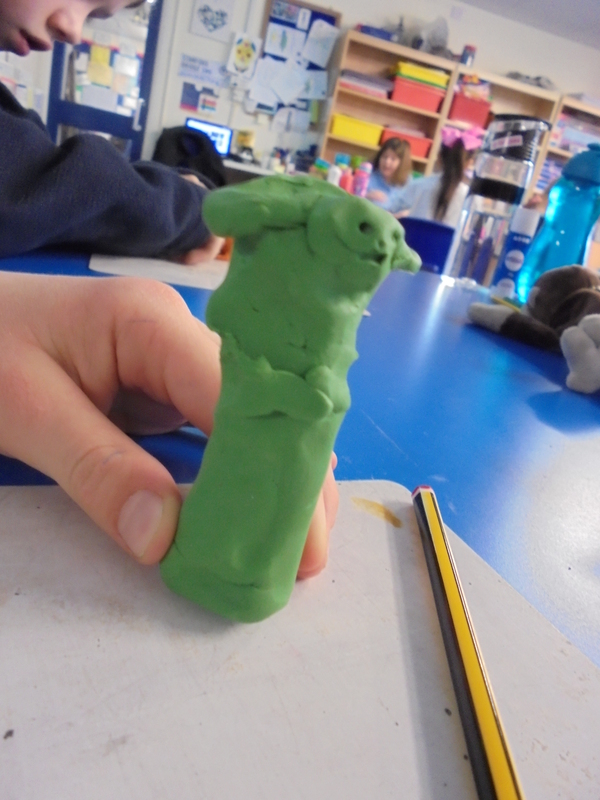 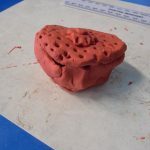 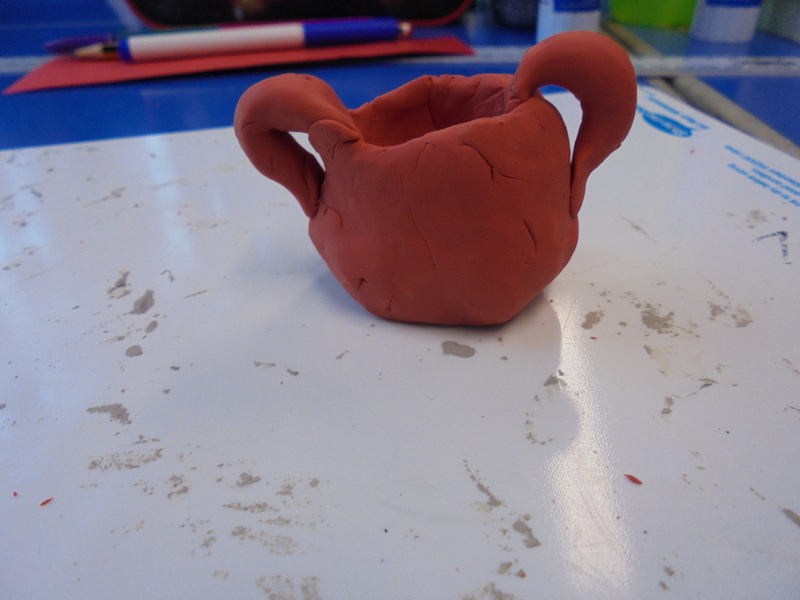 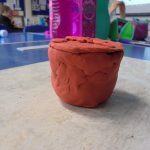 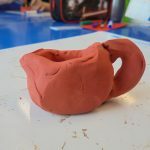 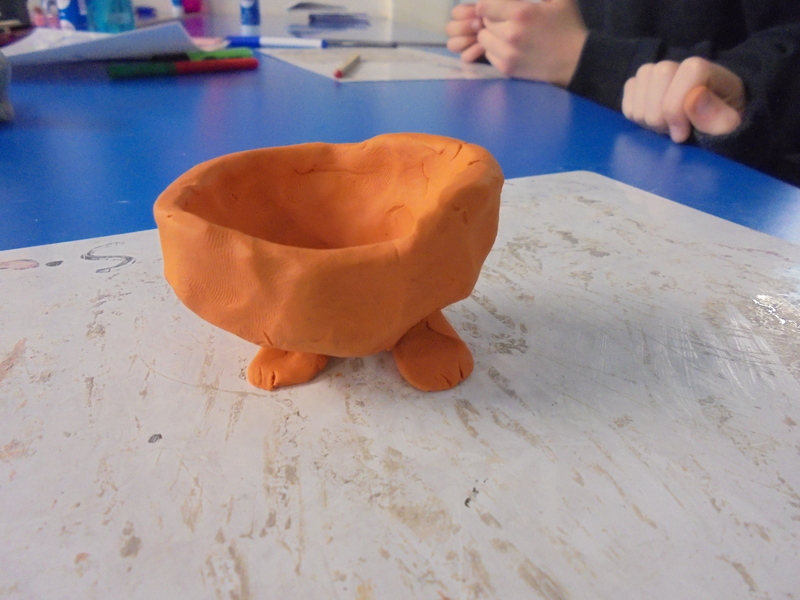 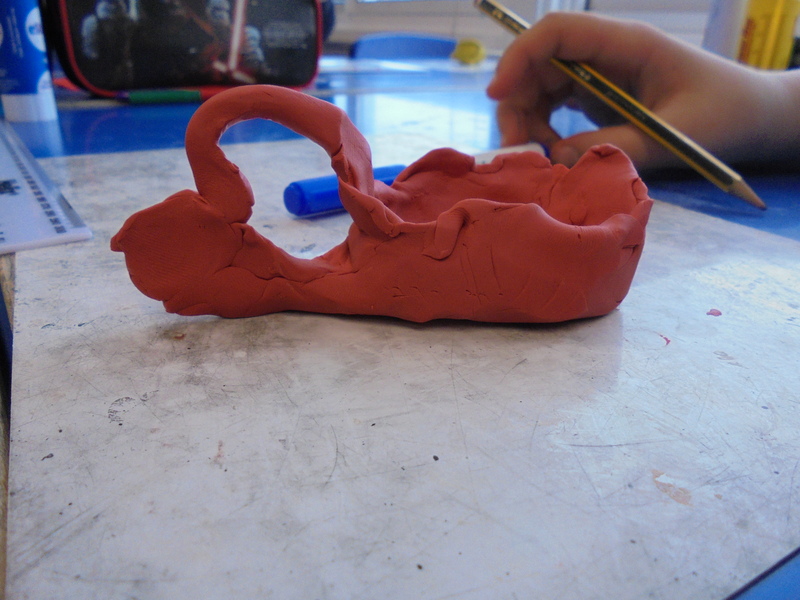 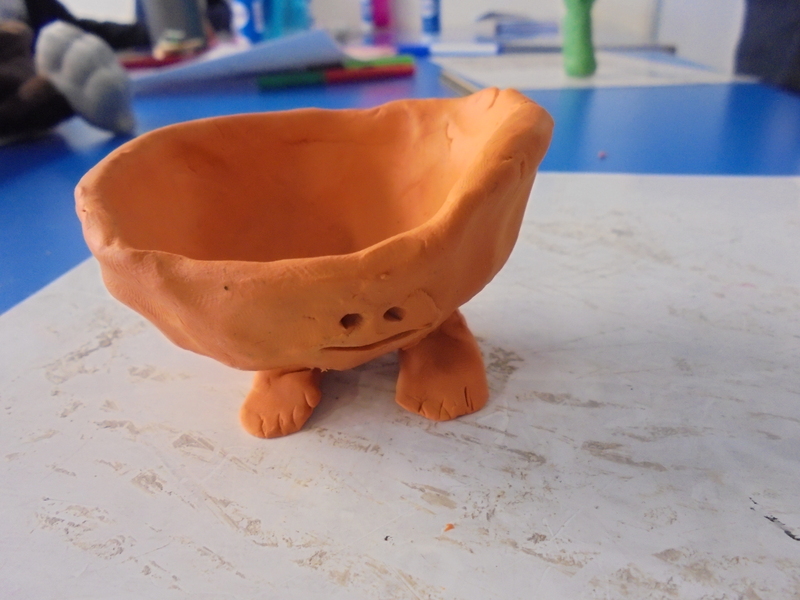 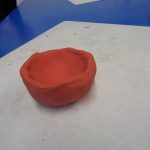 We looked at a range of Ancient Egyptian pottery and sketched what we saw to get an idea of common shapes and styles. 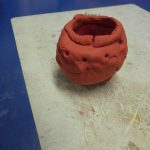 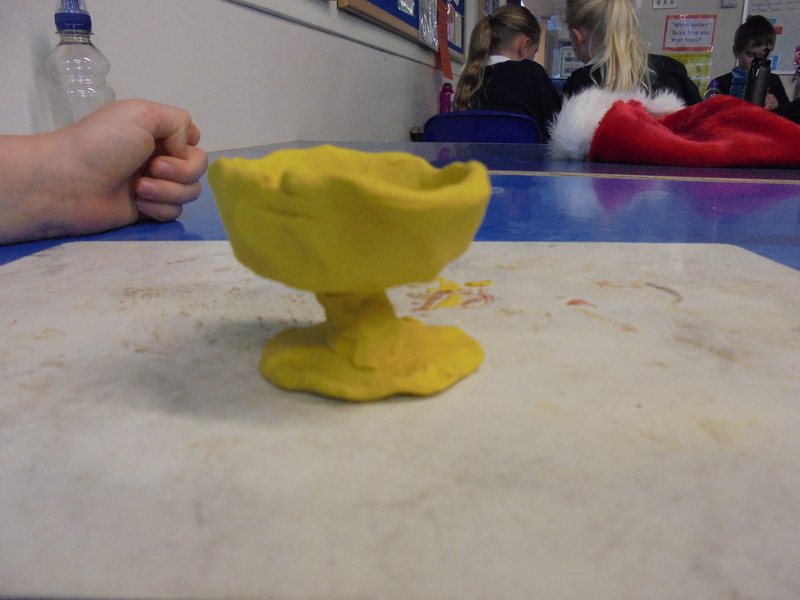 We then looked closely at the ways in which pots were decorated. 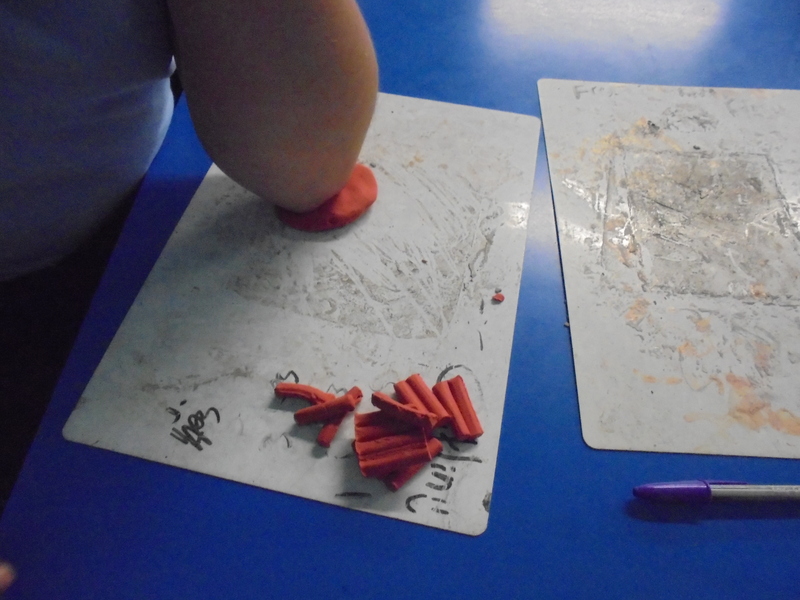 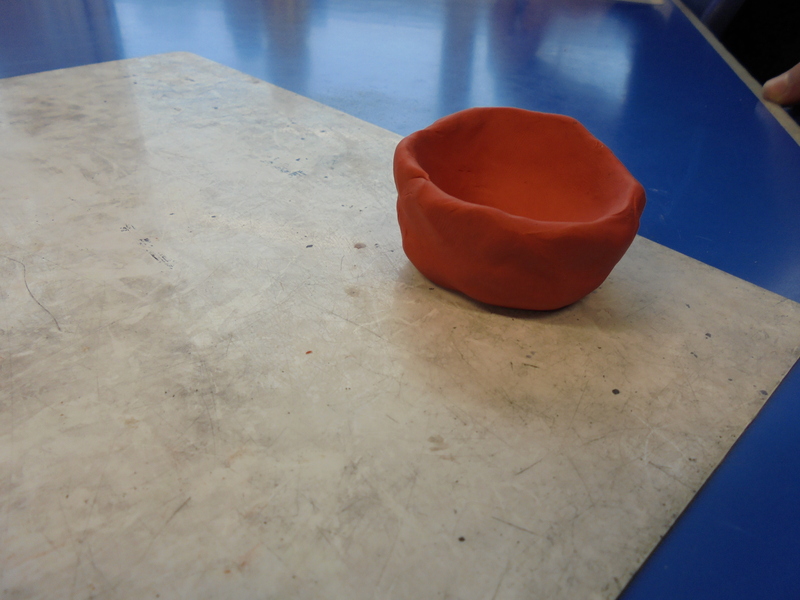 Next we painted our designs to test out whether we could realistically use them on our dried clay. 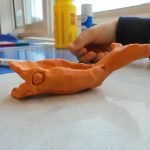 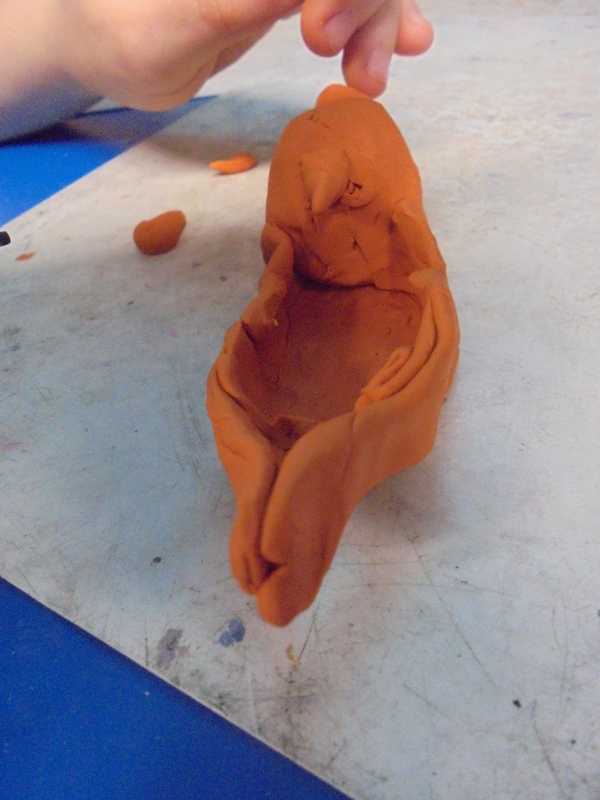 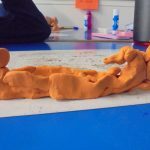 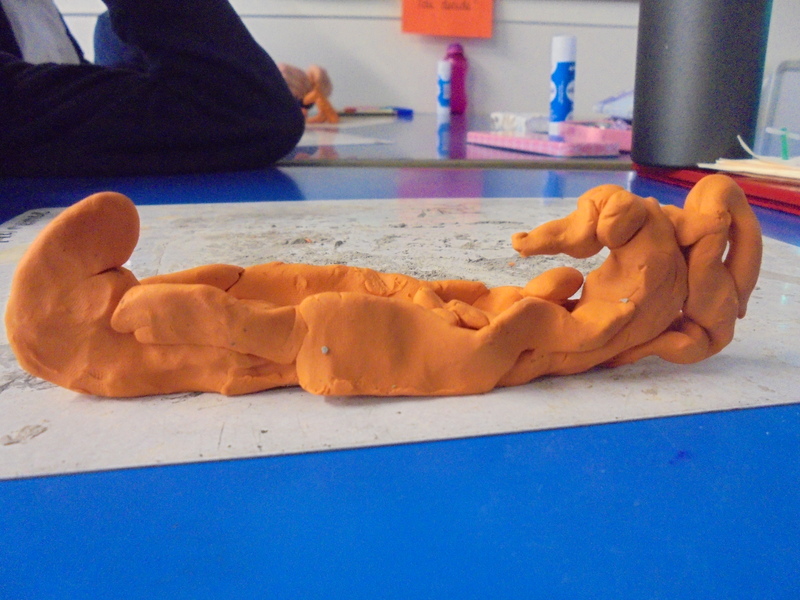 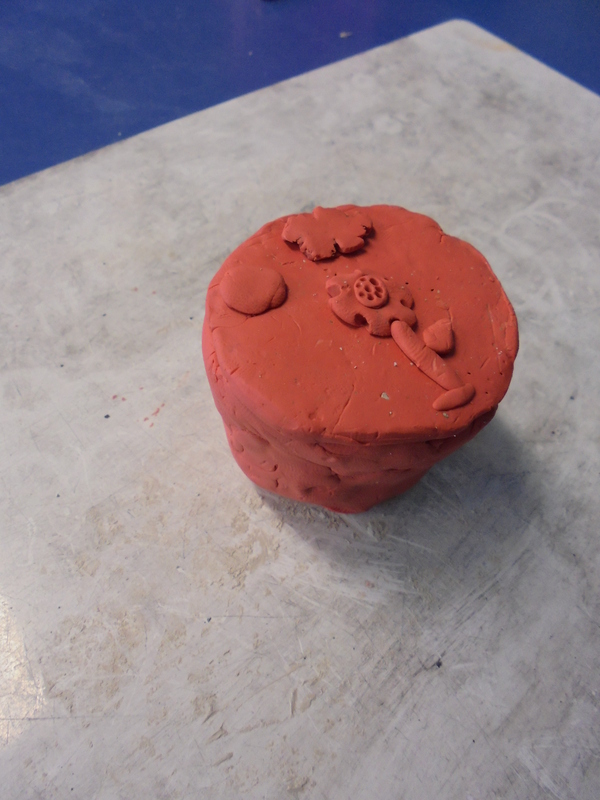 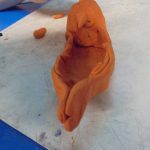 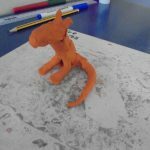 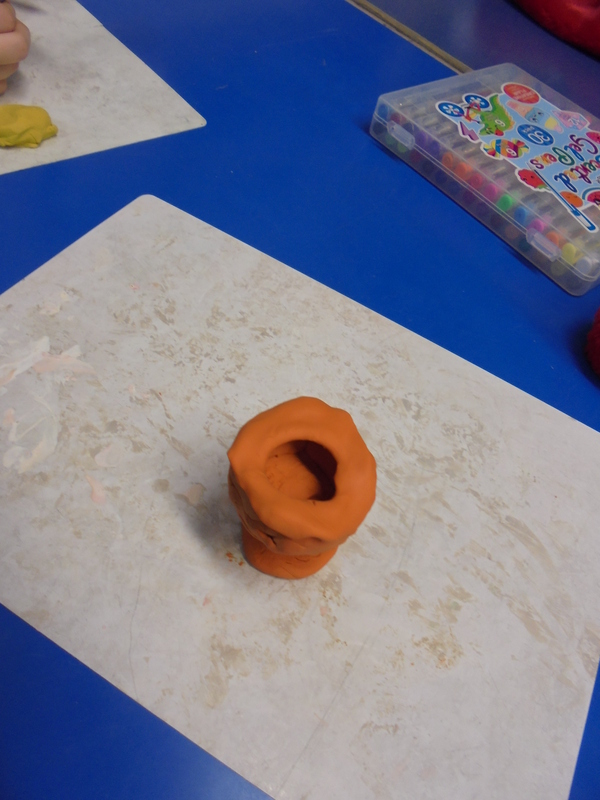 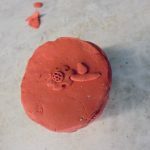 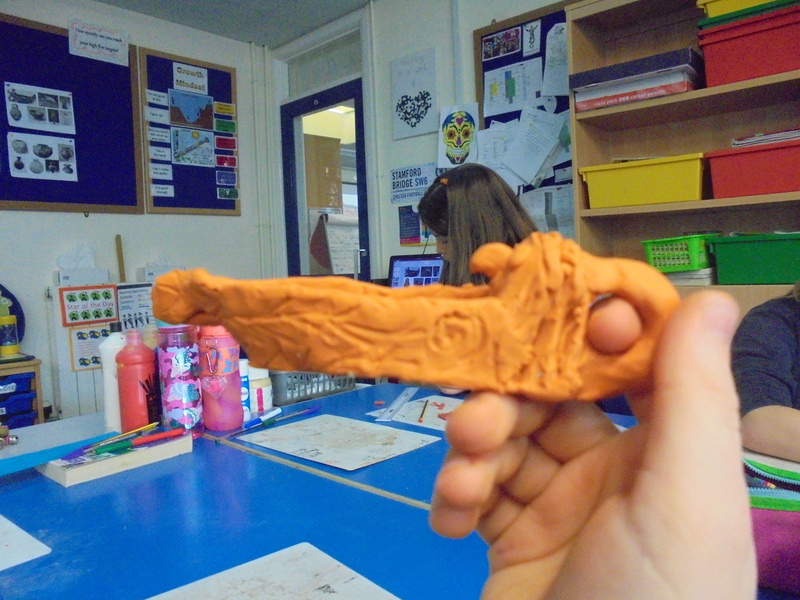 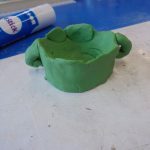 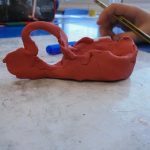 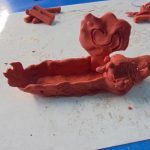 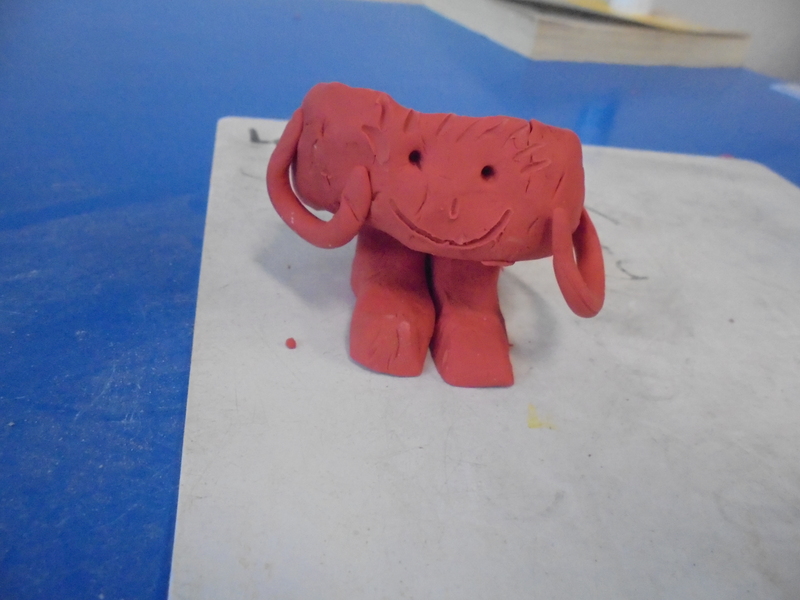 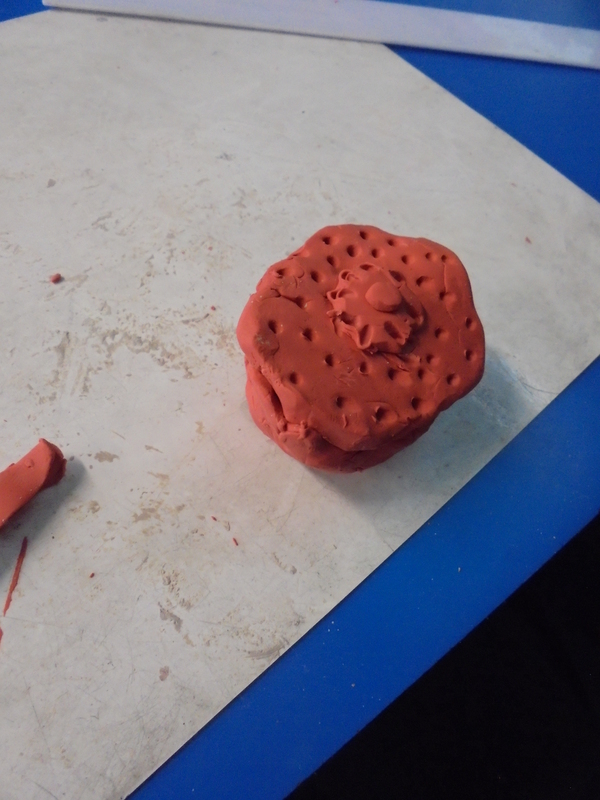 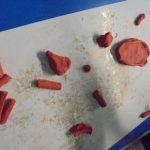 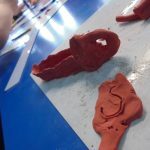 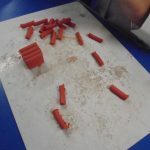 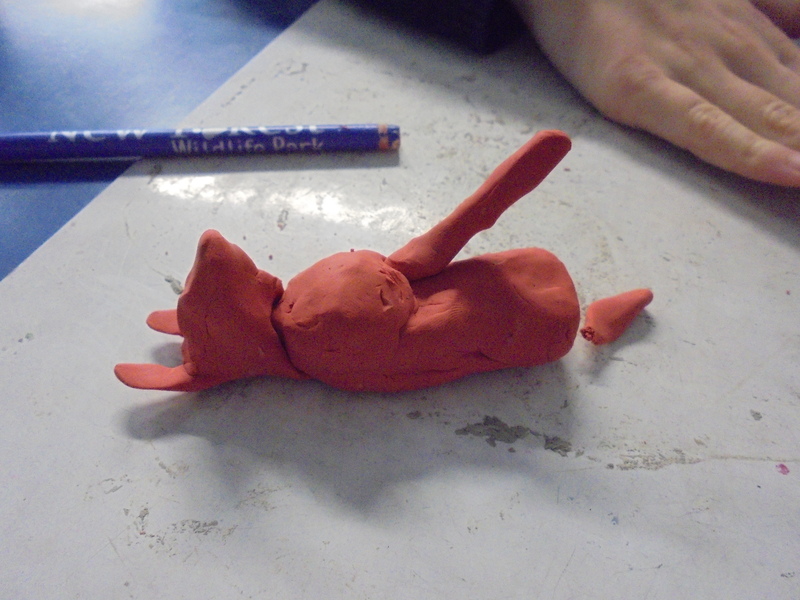 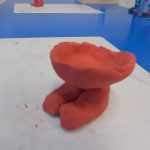 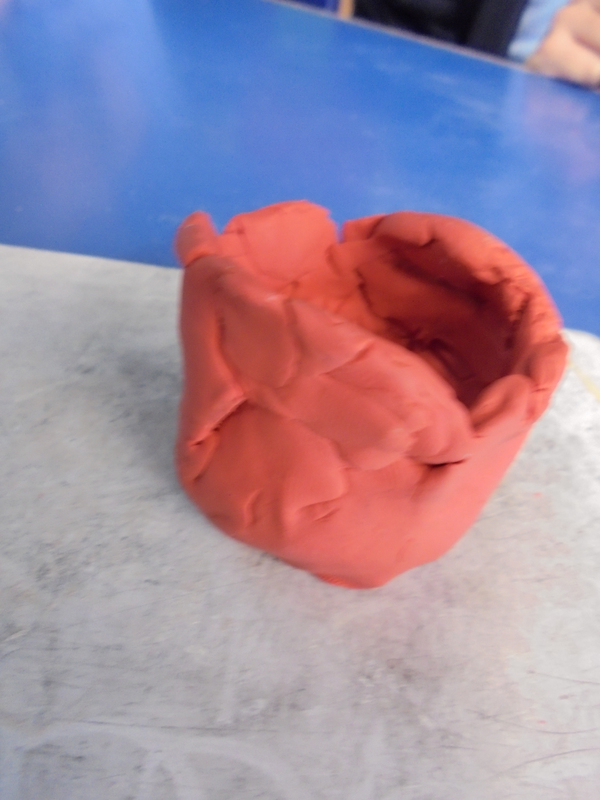 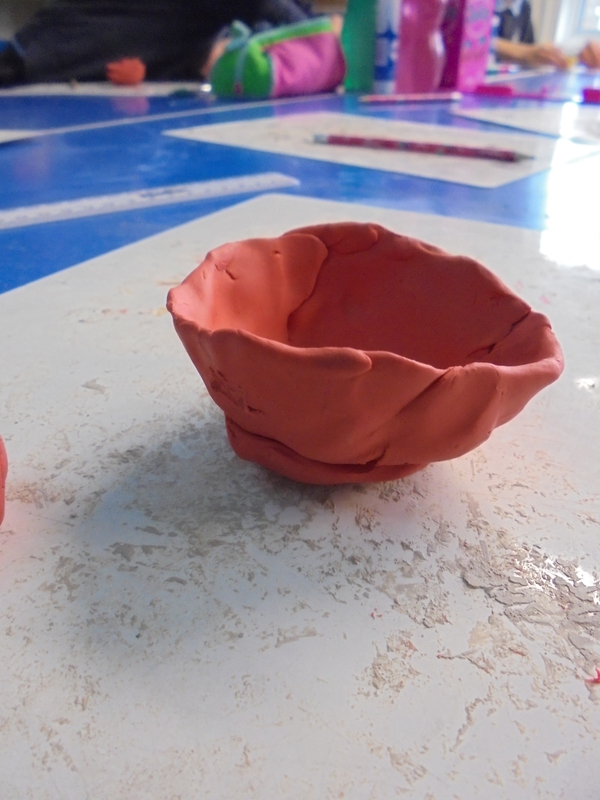 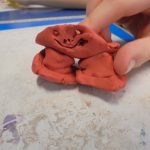 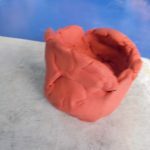 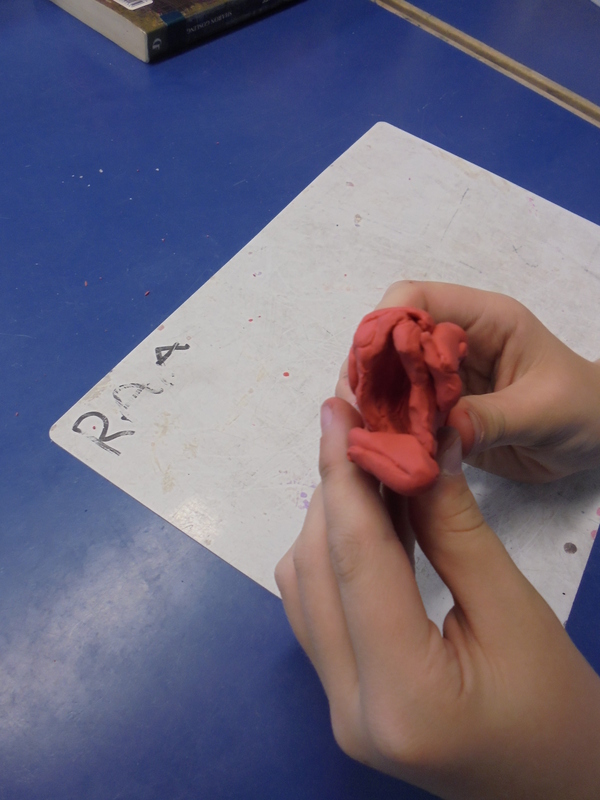 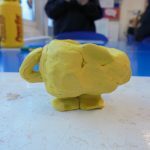 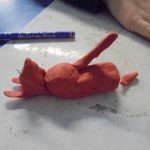 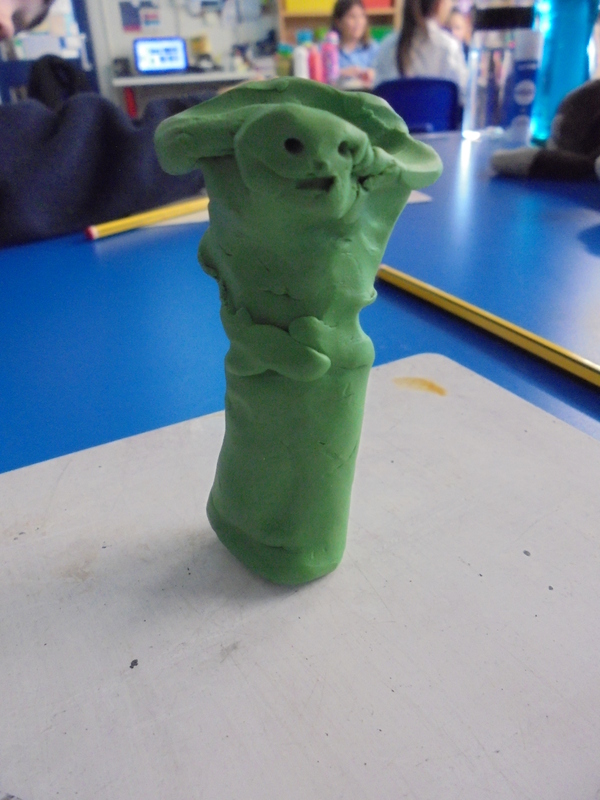 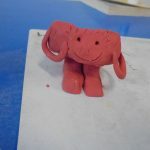 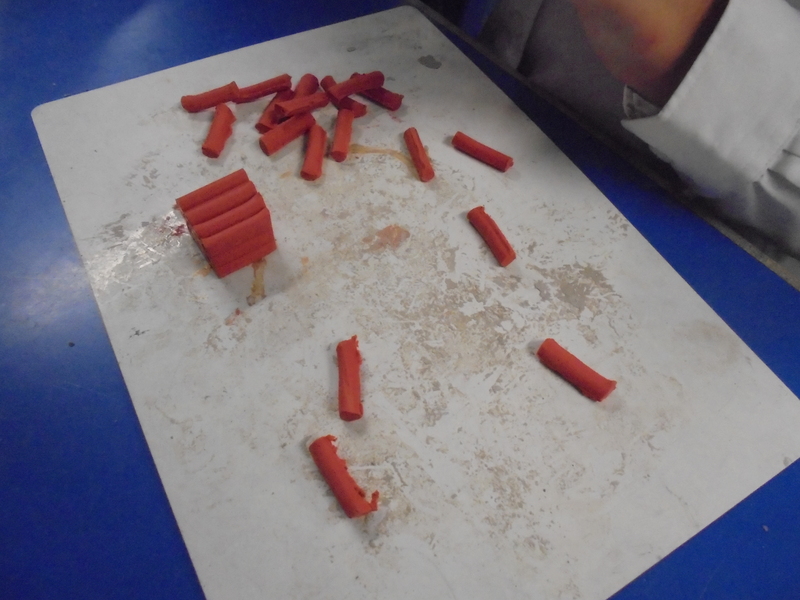 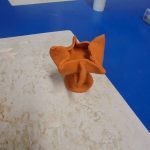 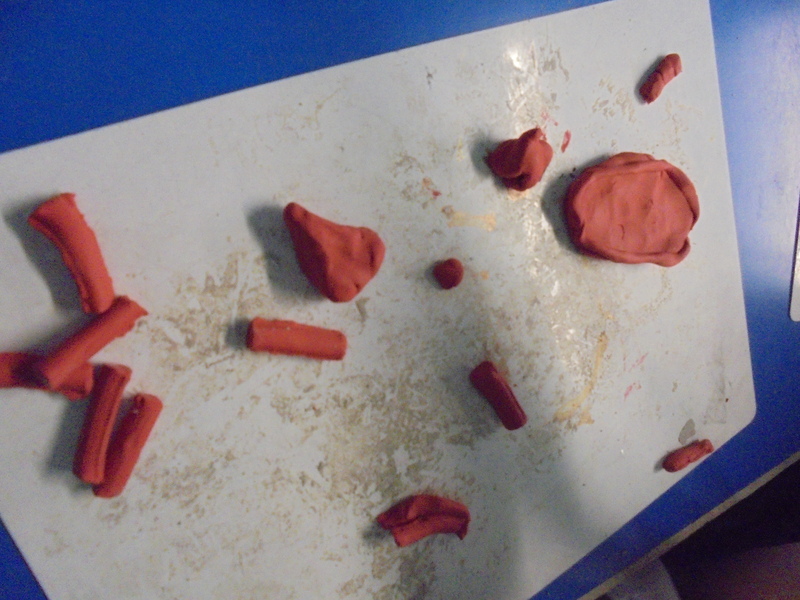 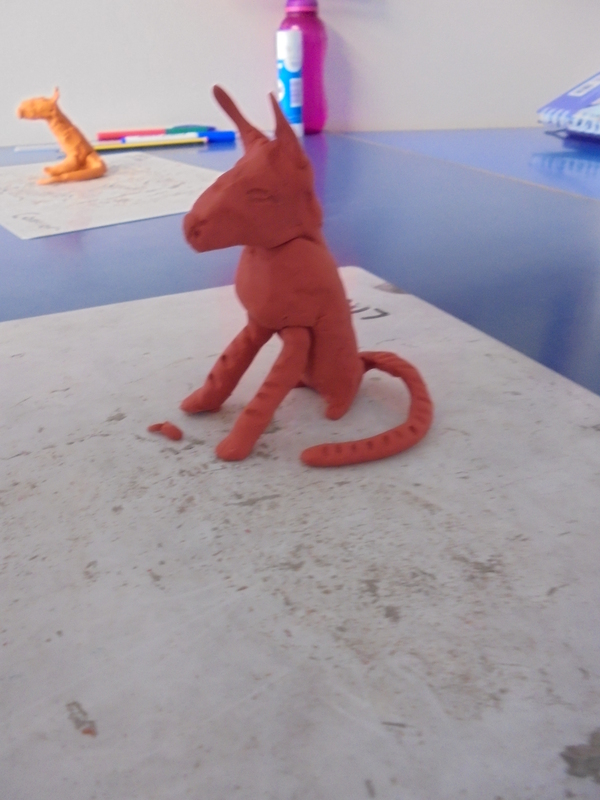 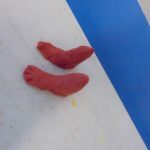 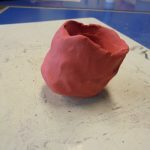 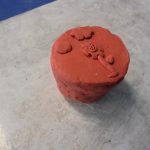 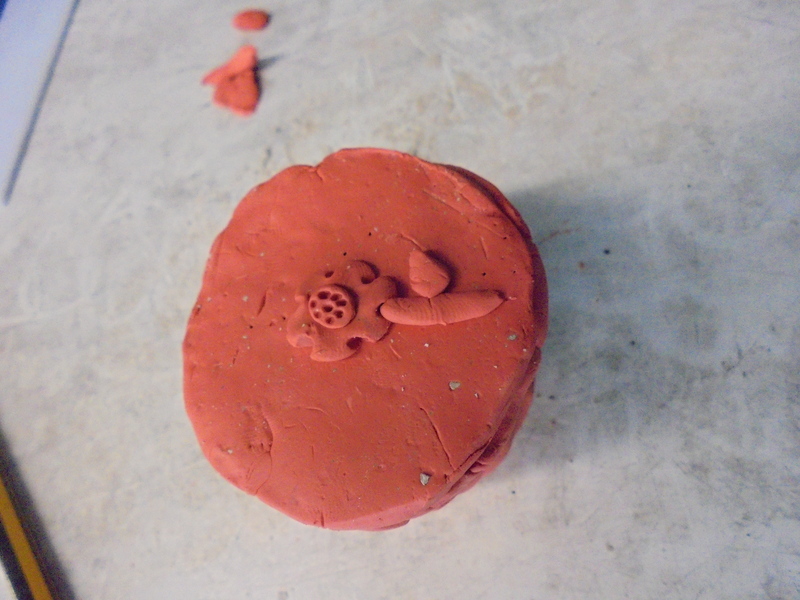 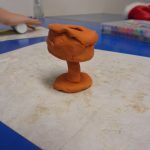 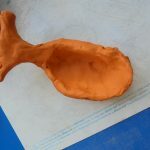 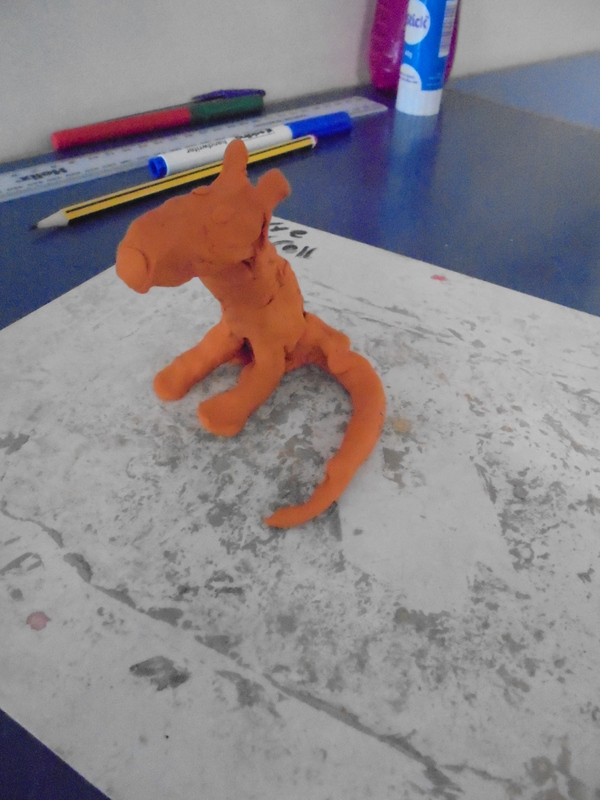 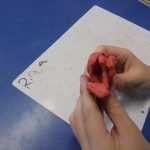 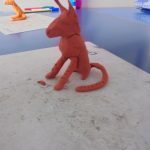 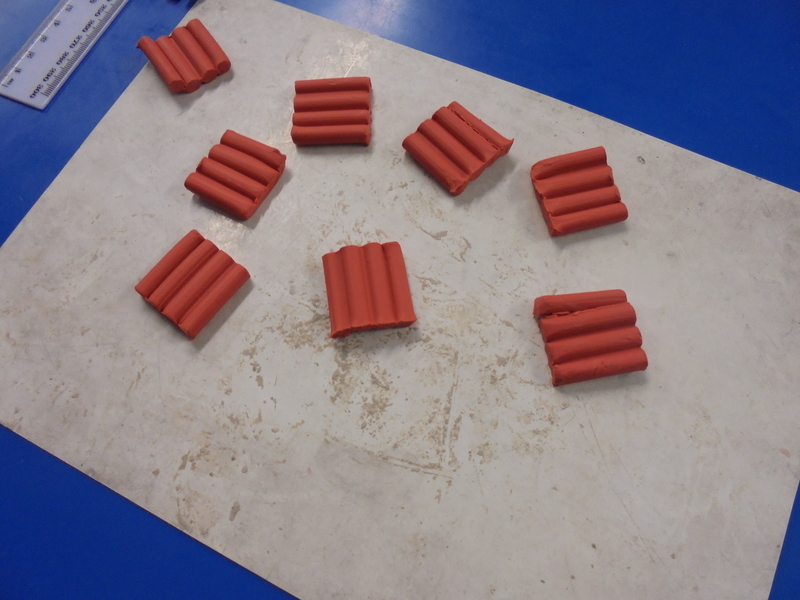 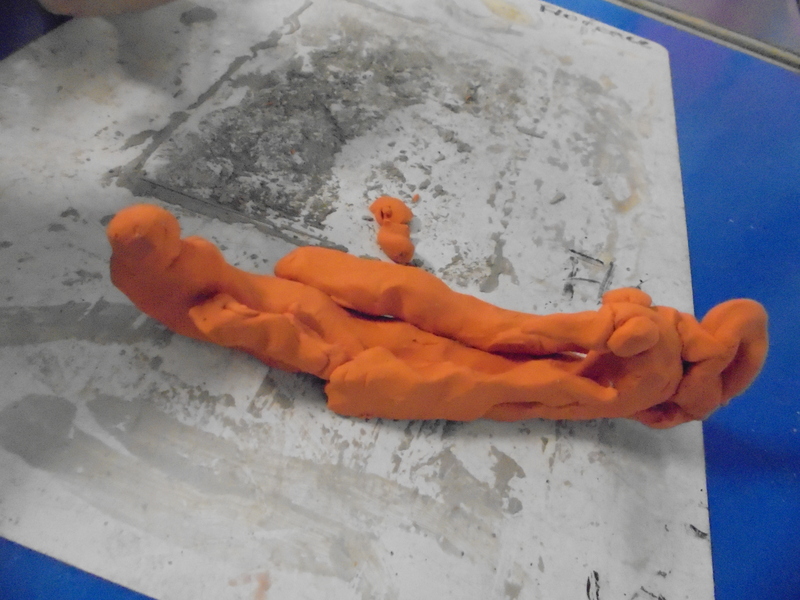 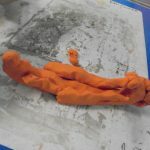 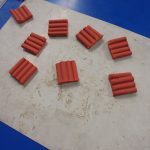 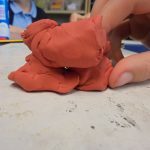 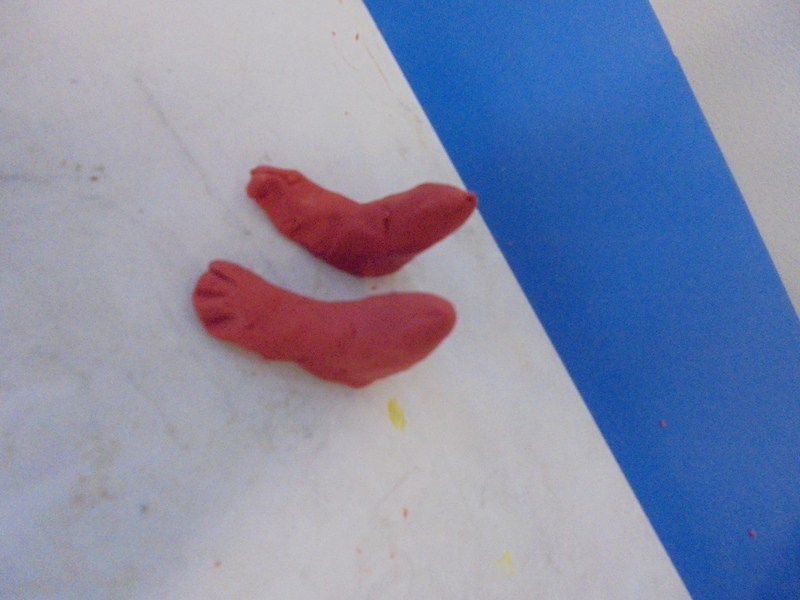 Finally, we made prototypes out of plasticine. 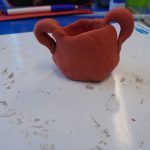 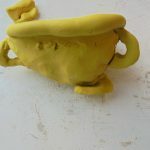 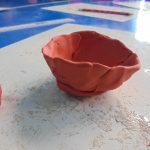 Tomorrow (Wednesday) is clay day. 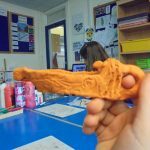 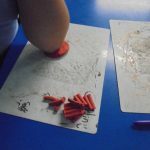 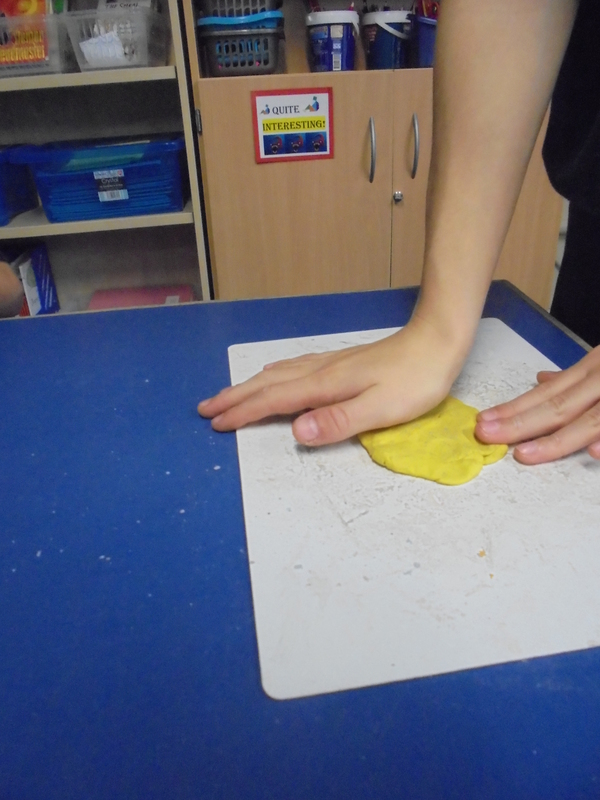 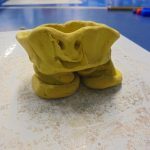 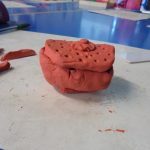 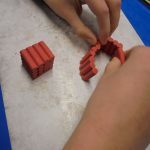 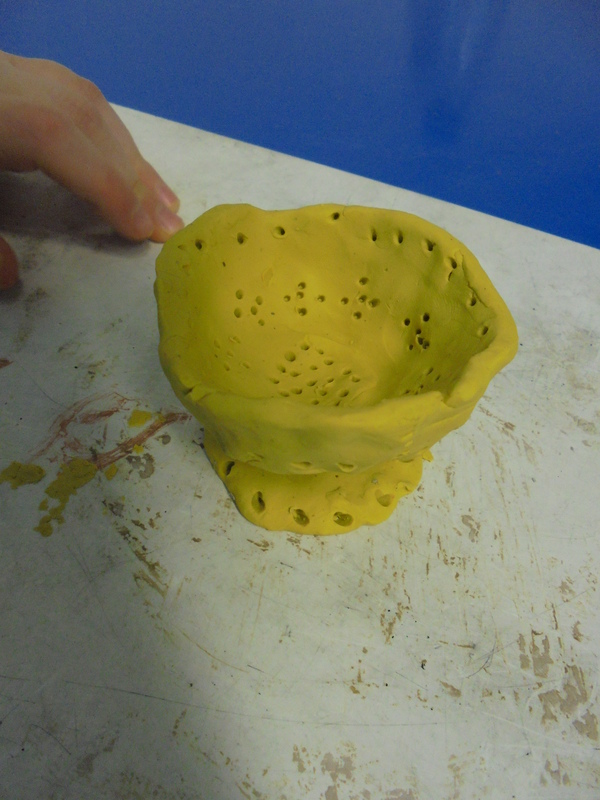 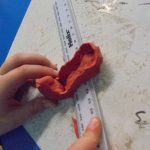 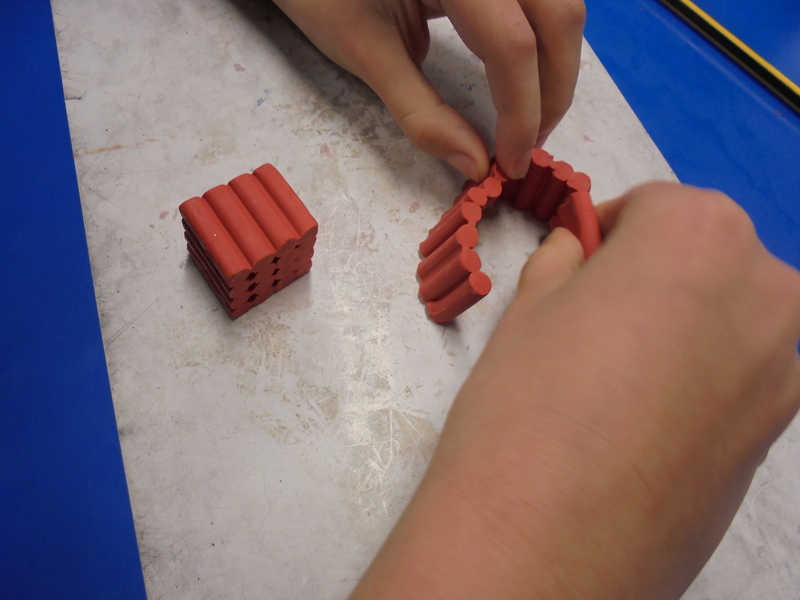 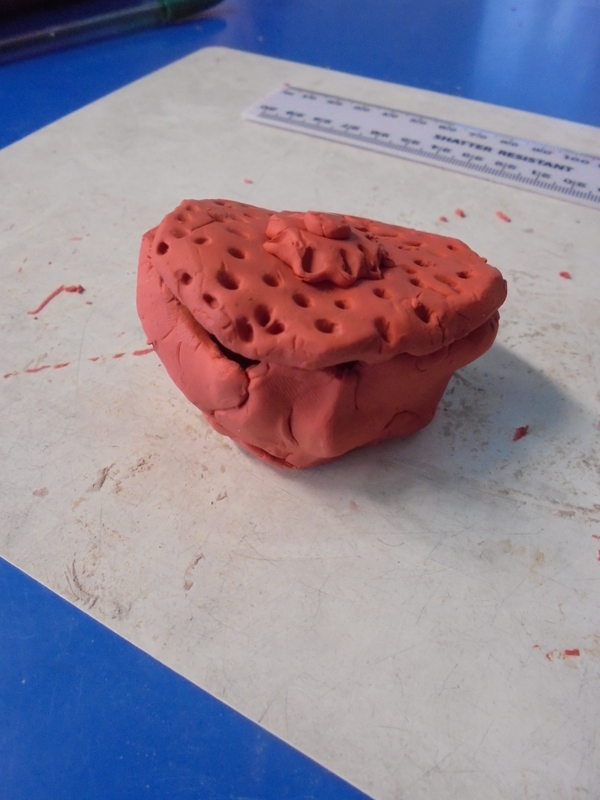 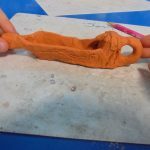 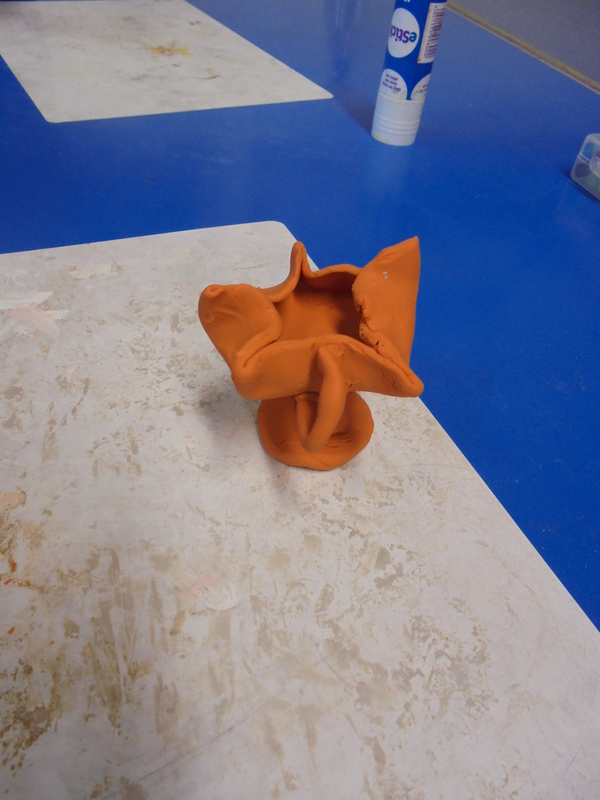 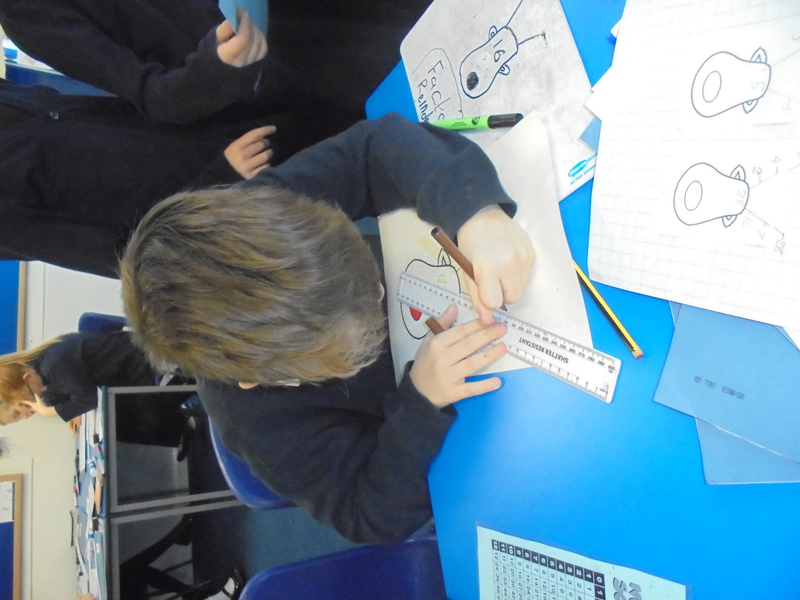 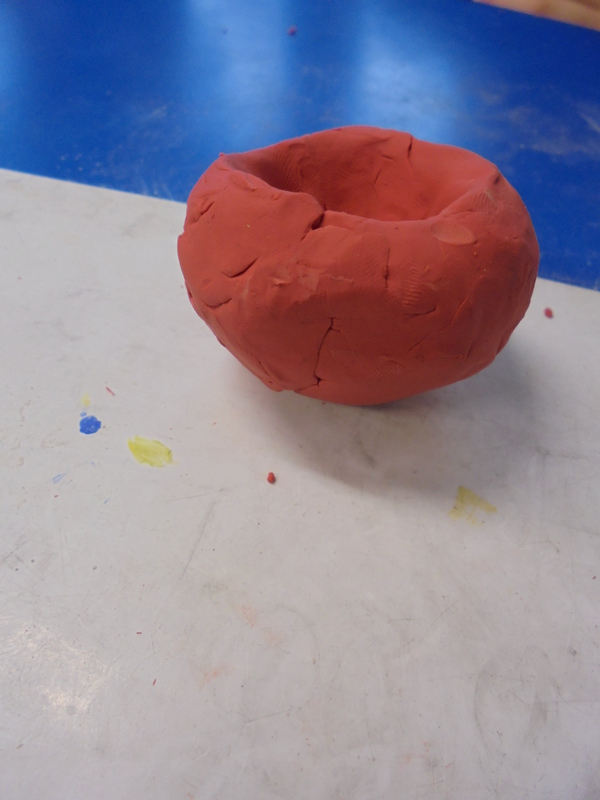 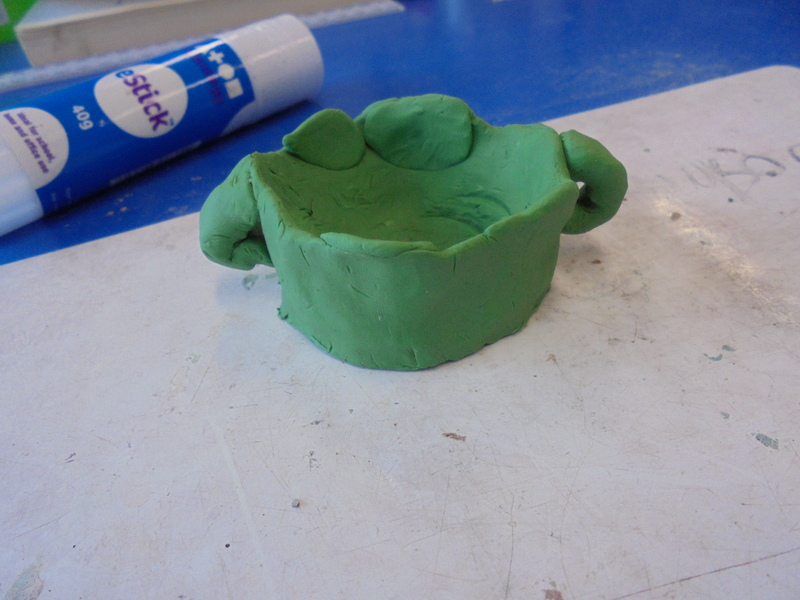 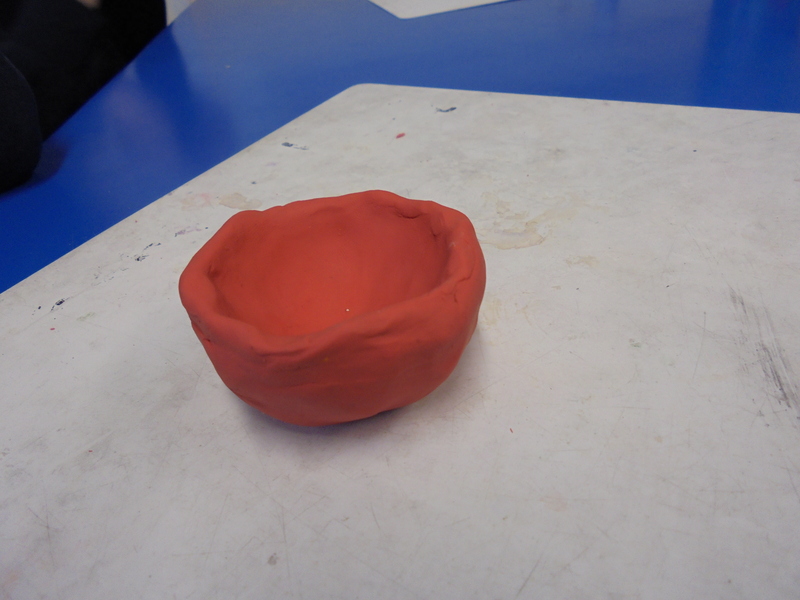 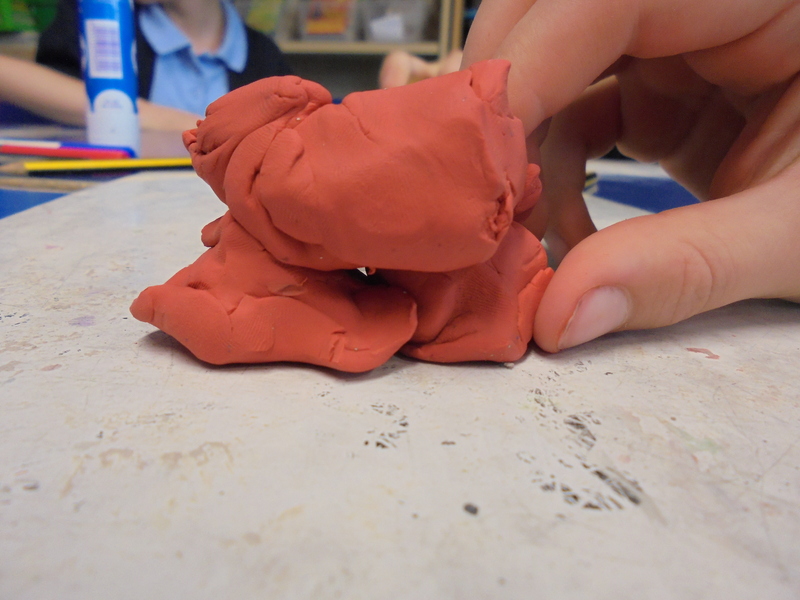 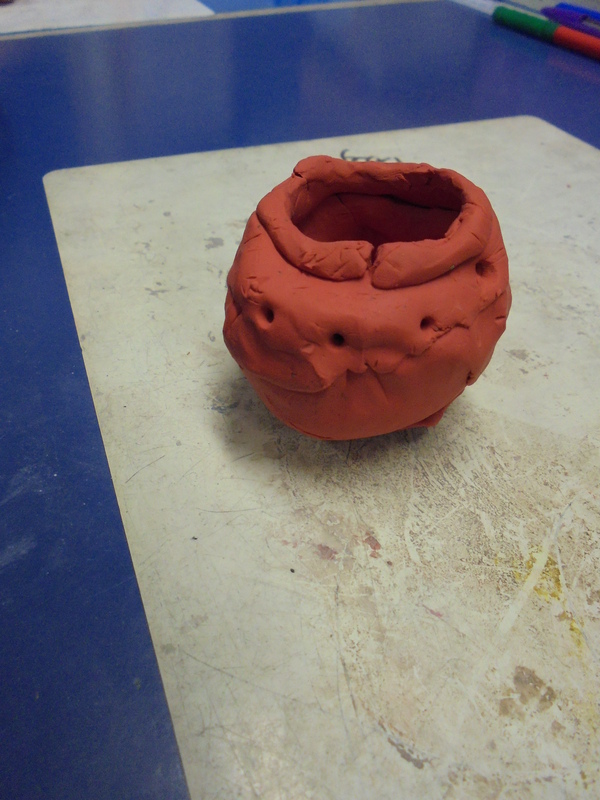 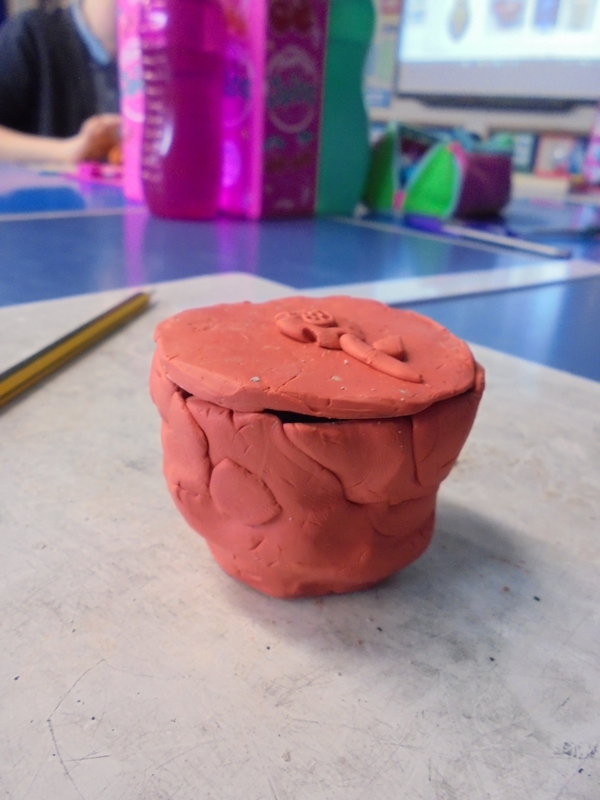 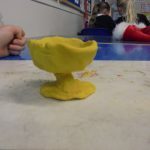 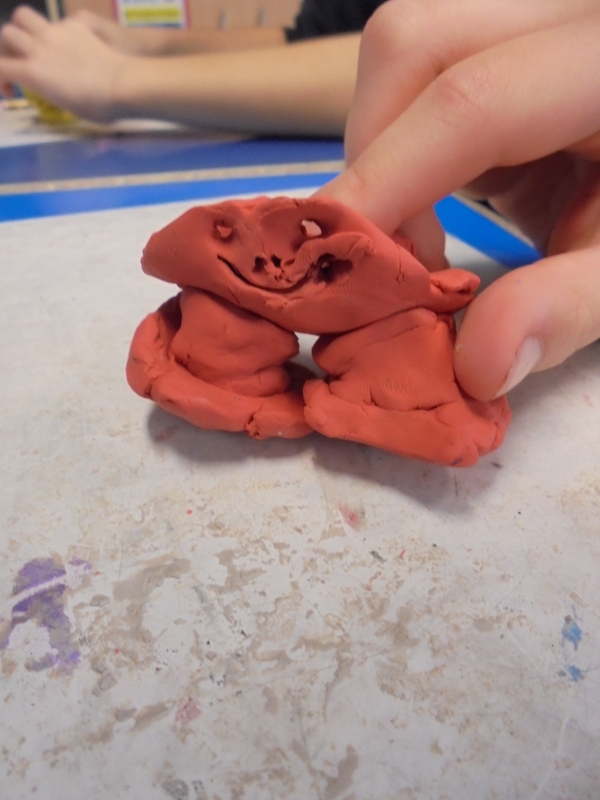 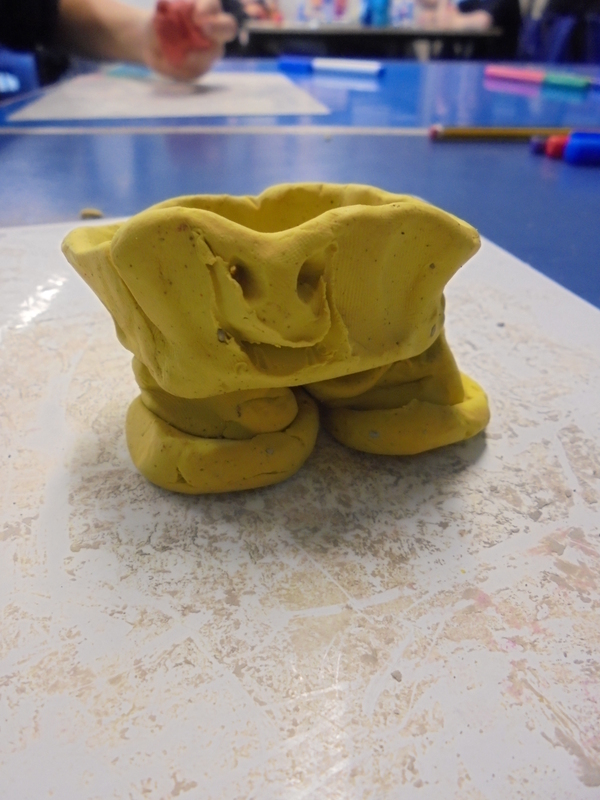 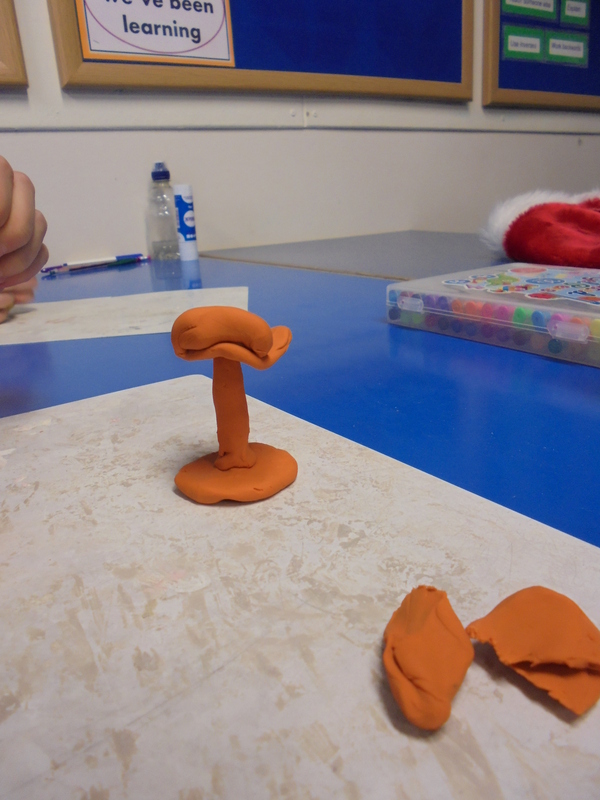 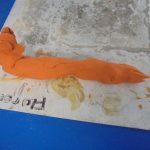 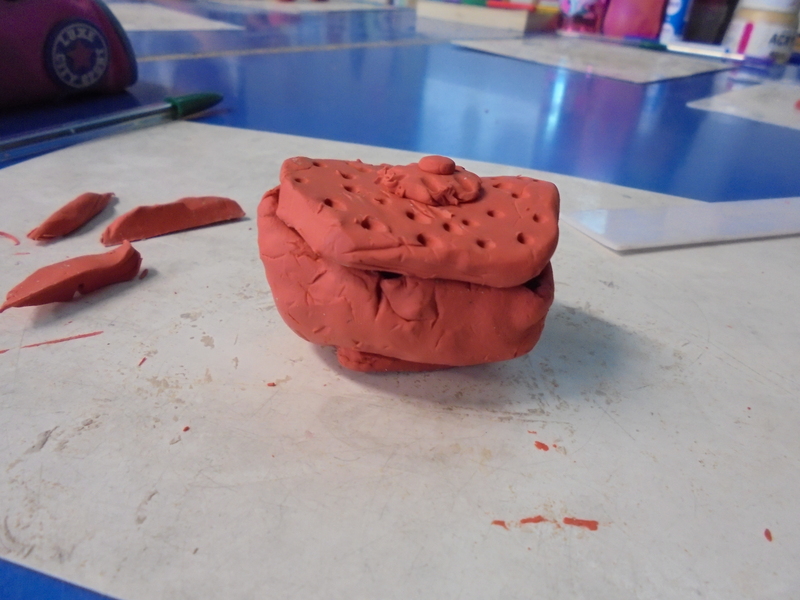 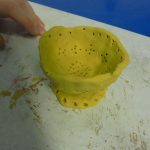 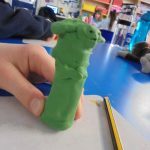 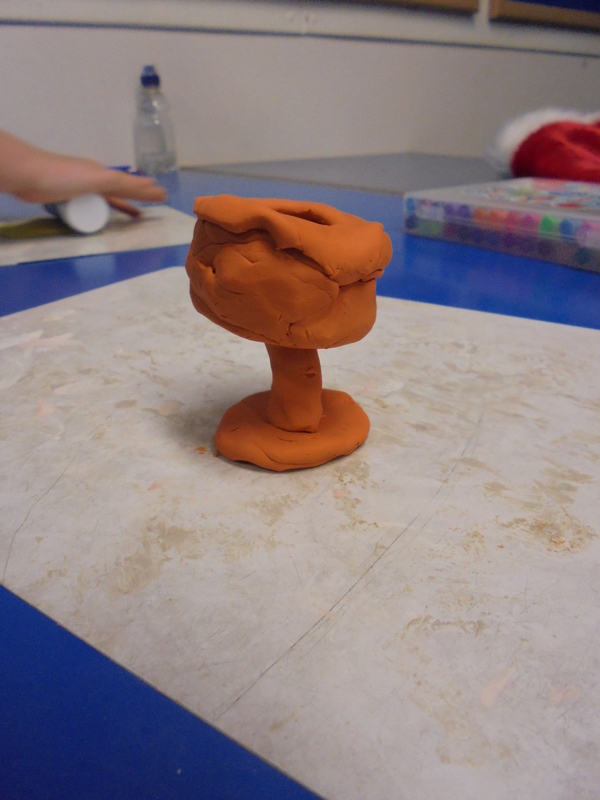 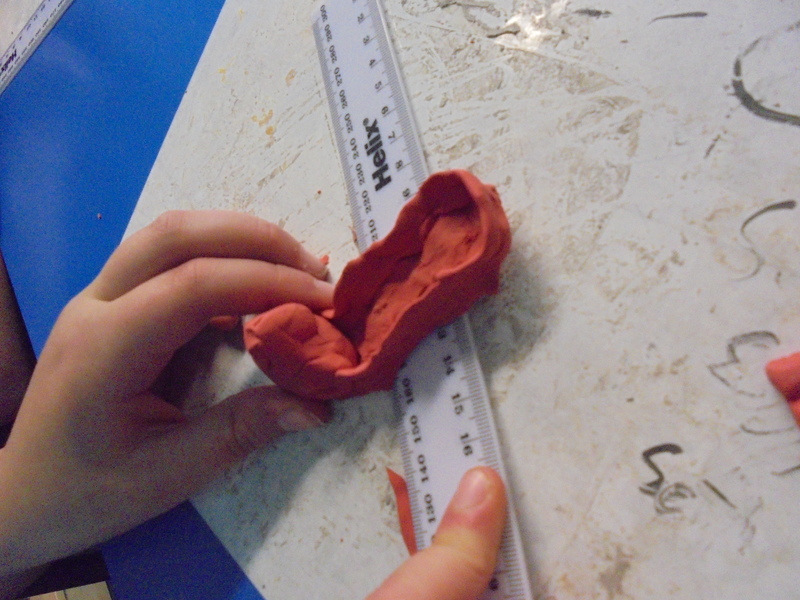 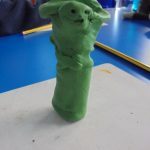 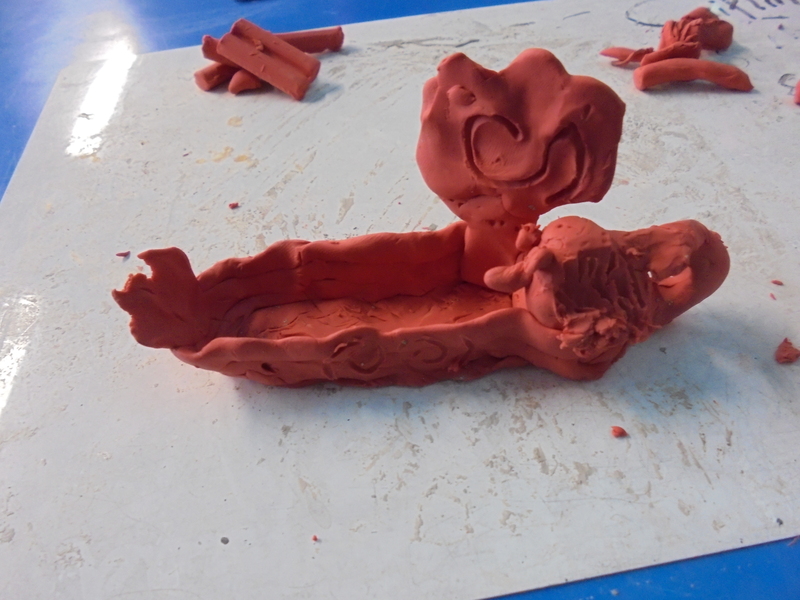 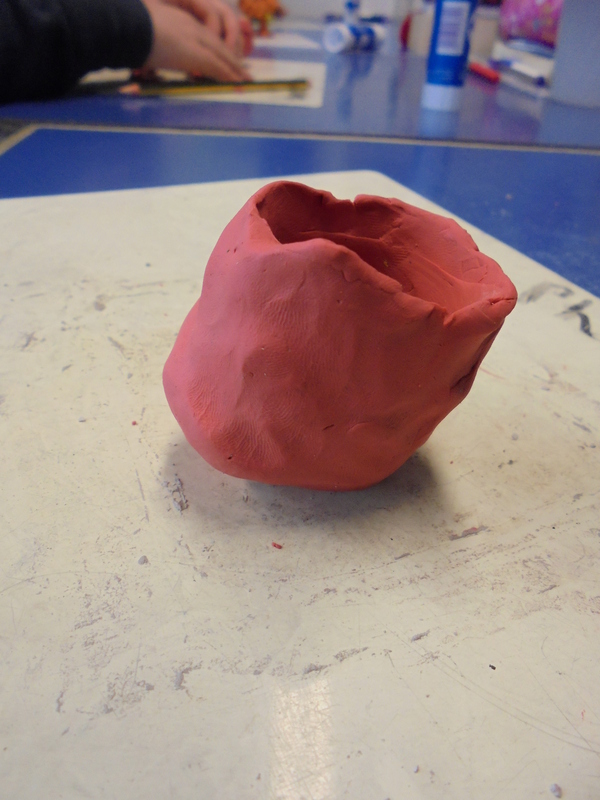 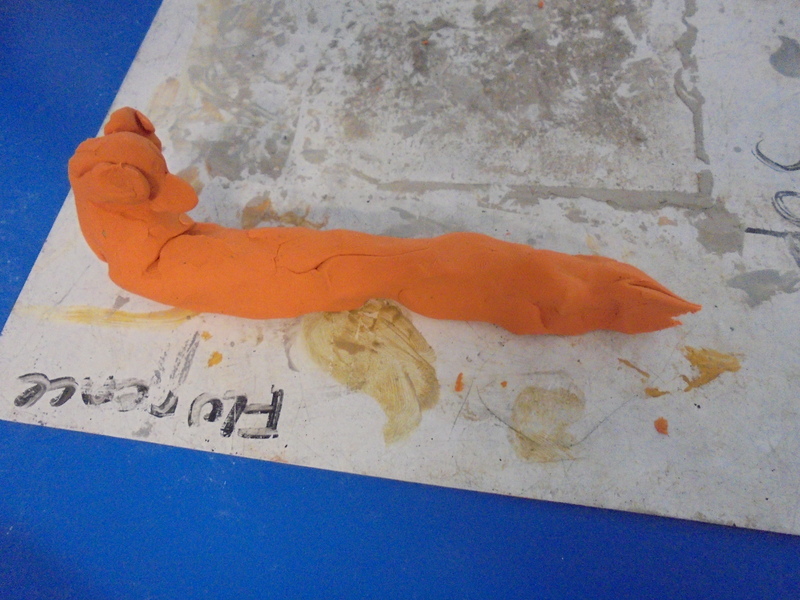 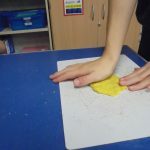 Remember, you will be able to see our creations when we share our learning from 2.45pm on Monday 18th December. 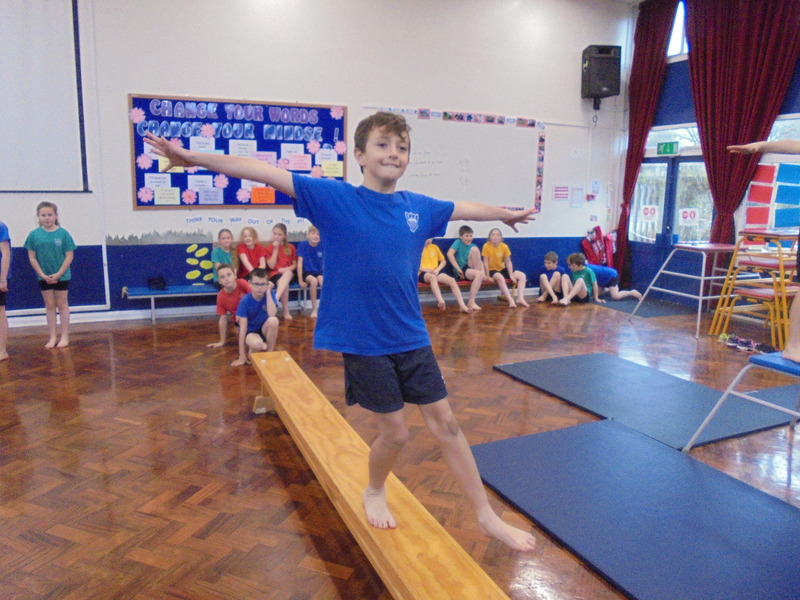 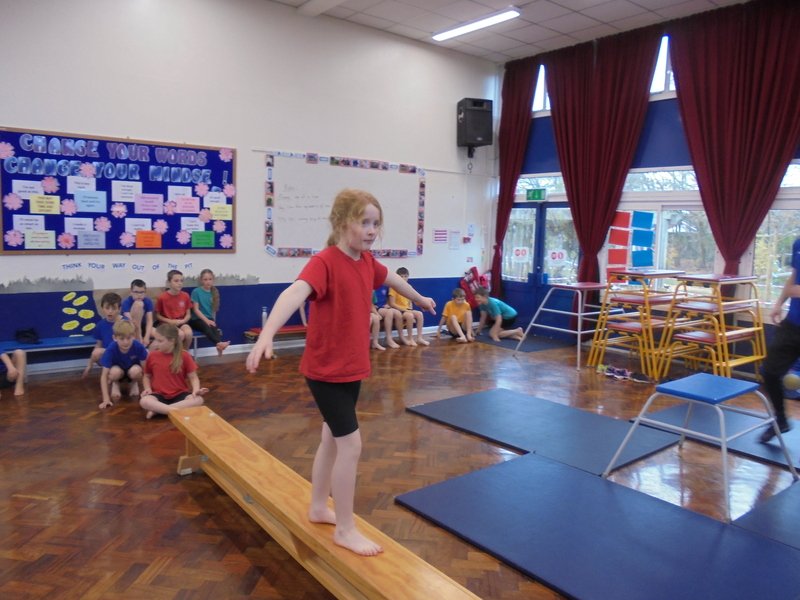 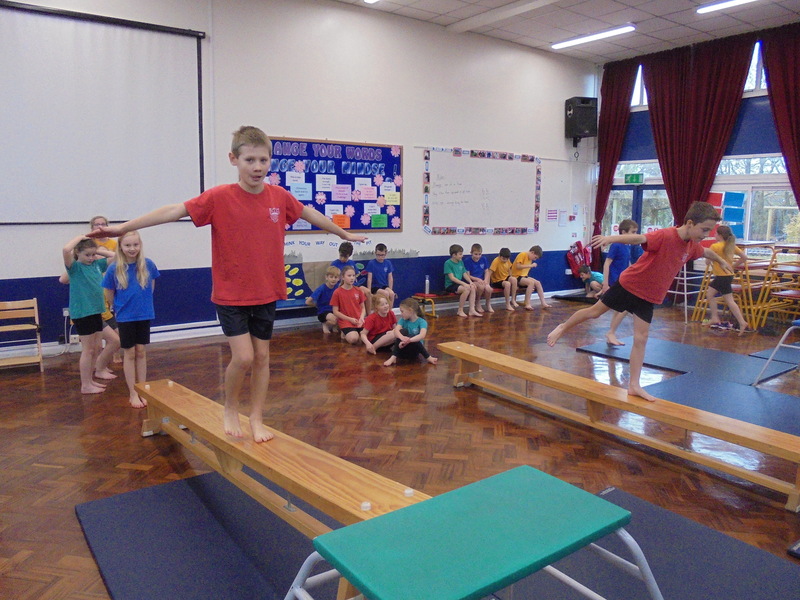 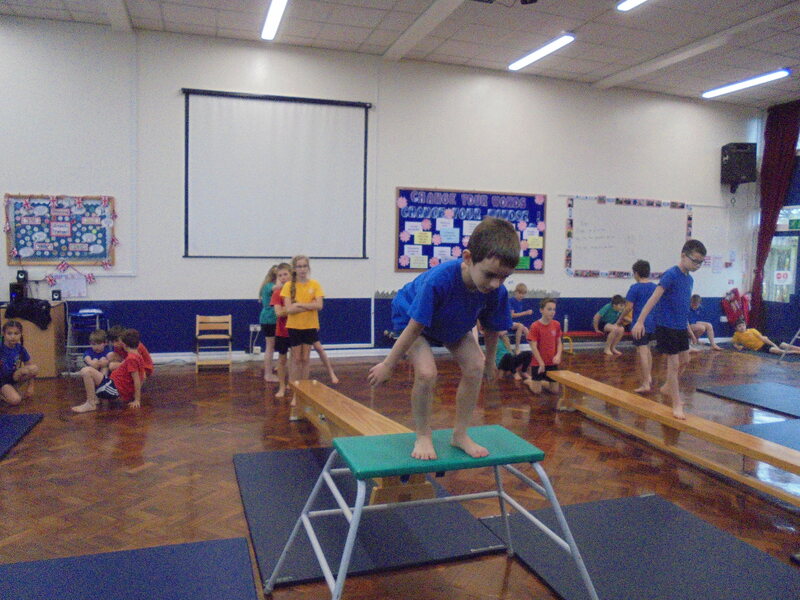 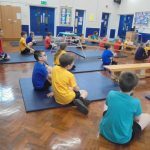 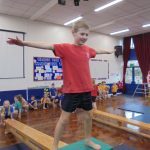 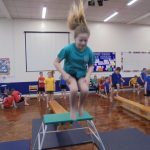 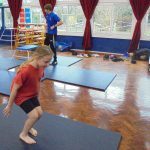 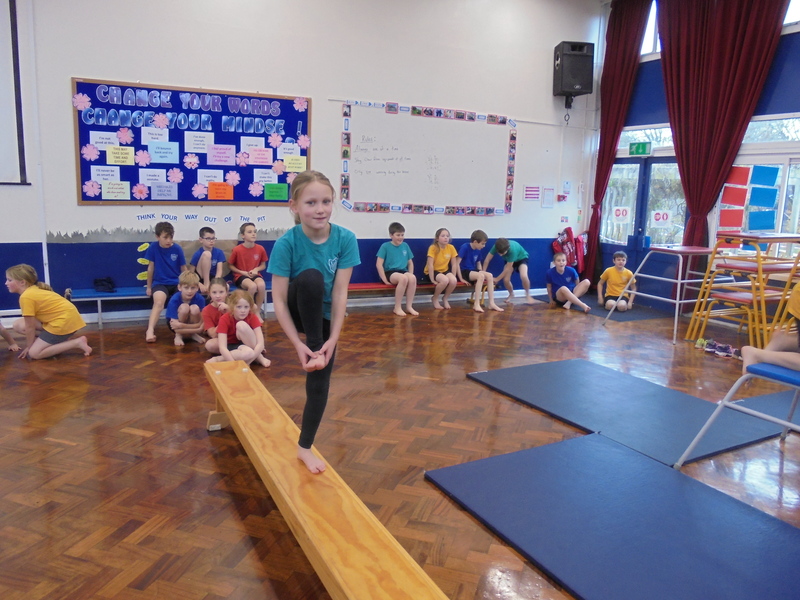 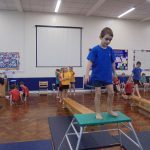 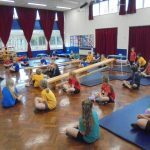 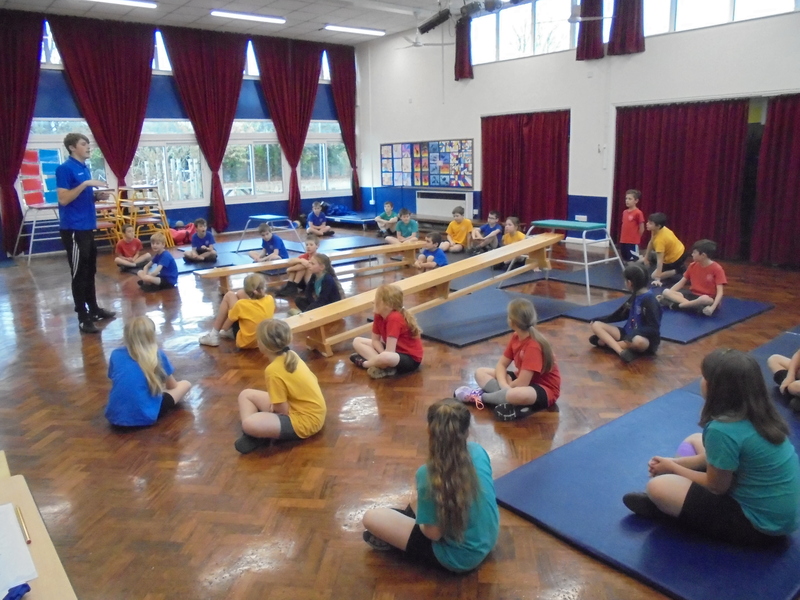 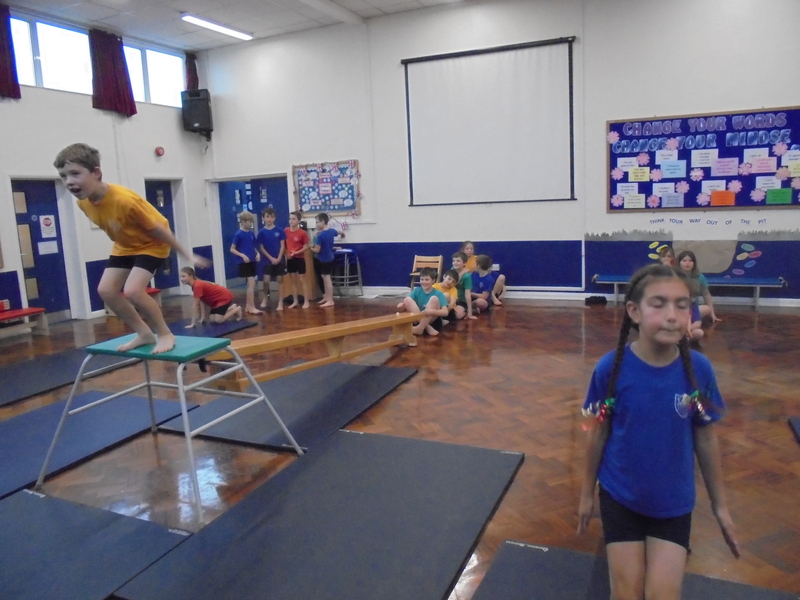 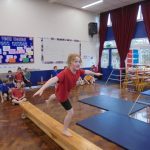 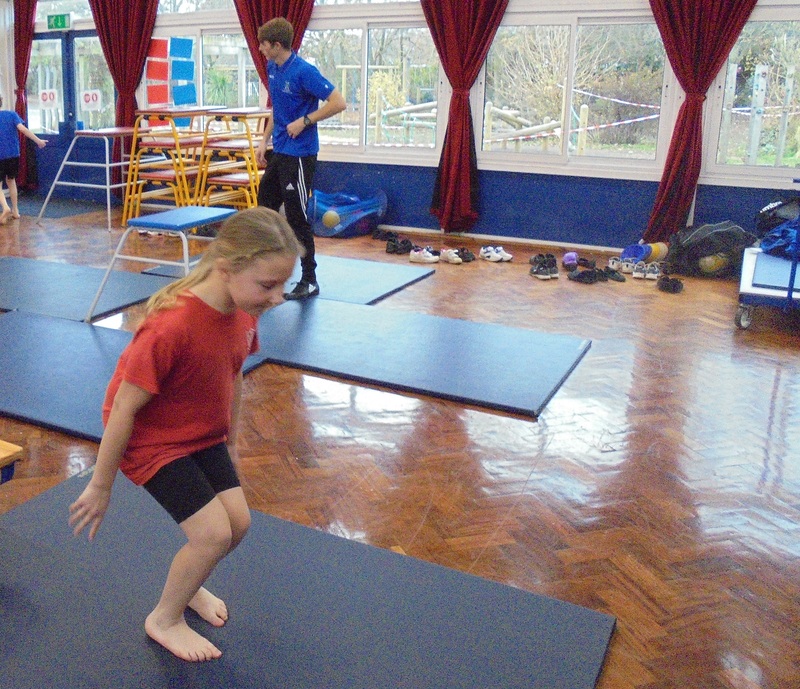 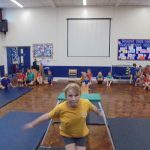 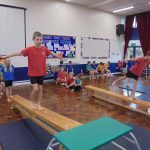 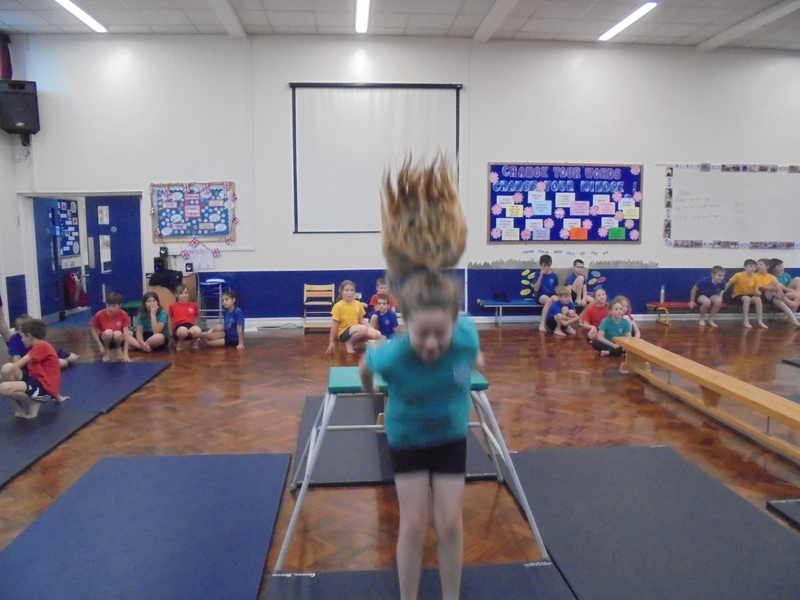 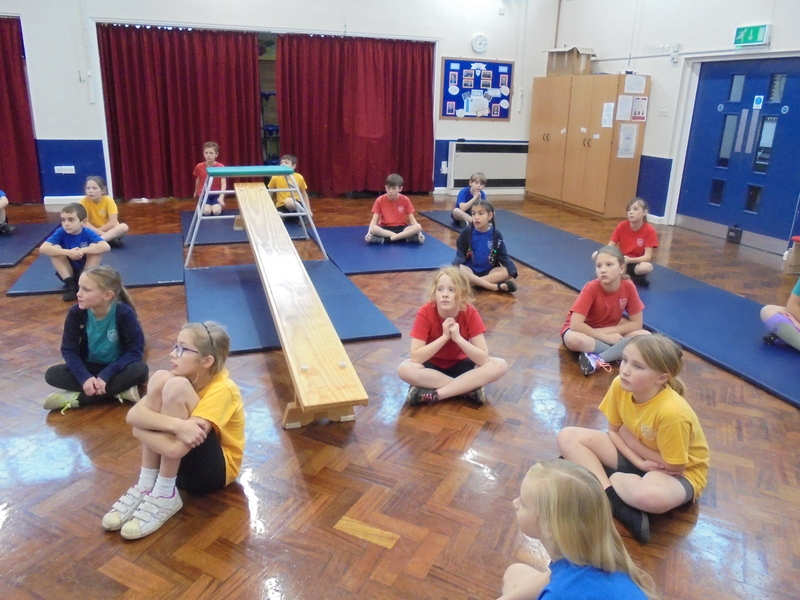 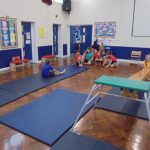 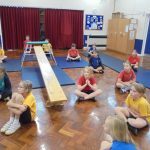 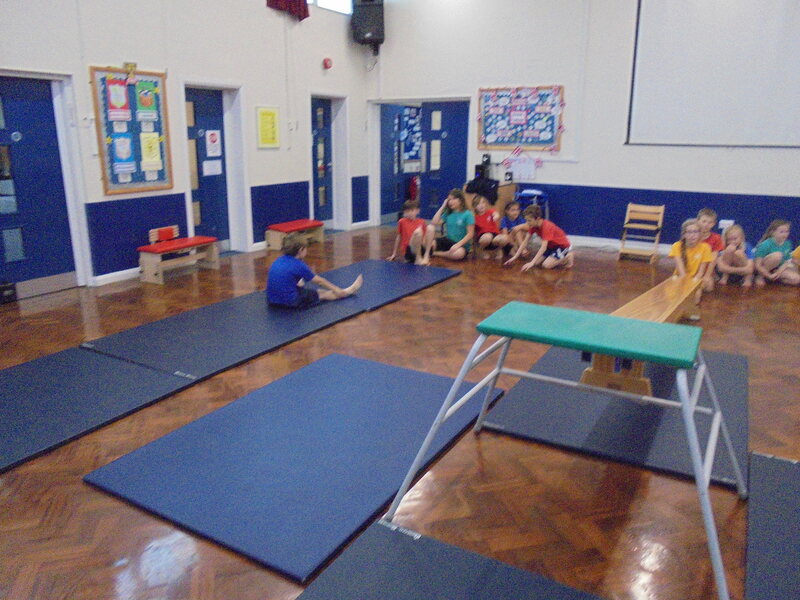 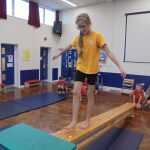 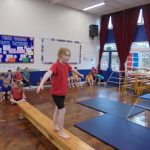 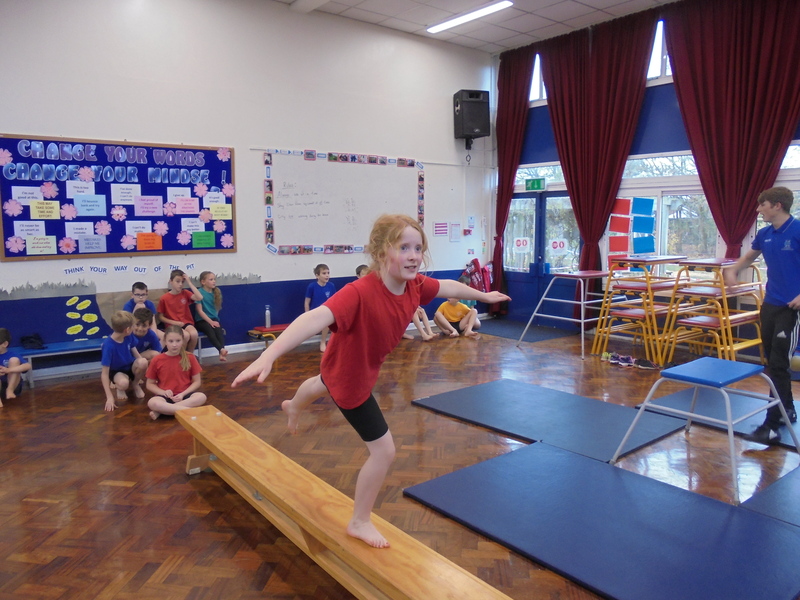 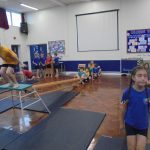 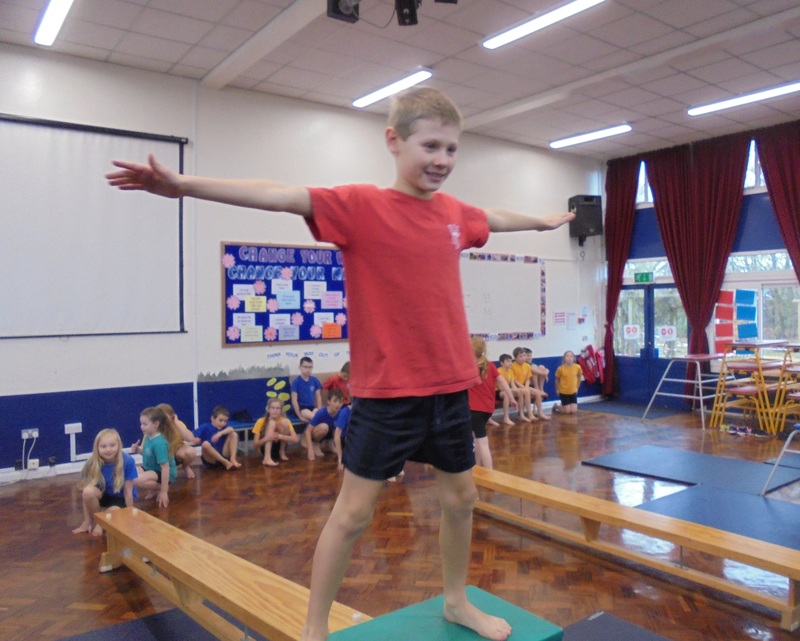 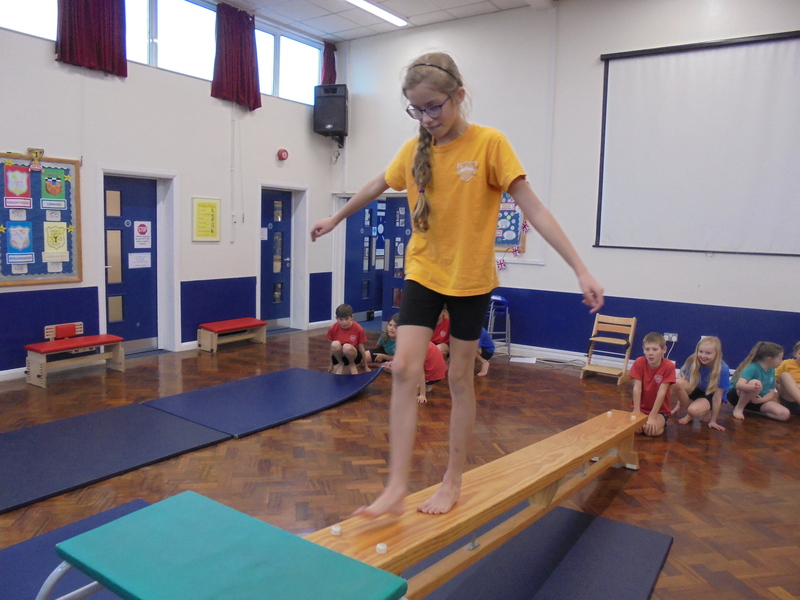 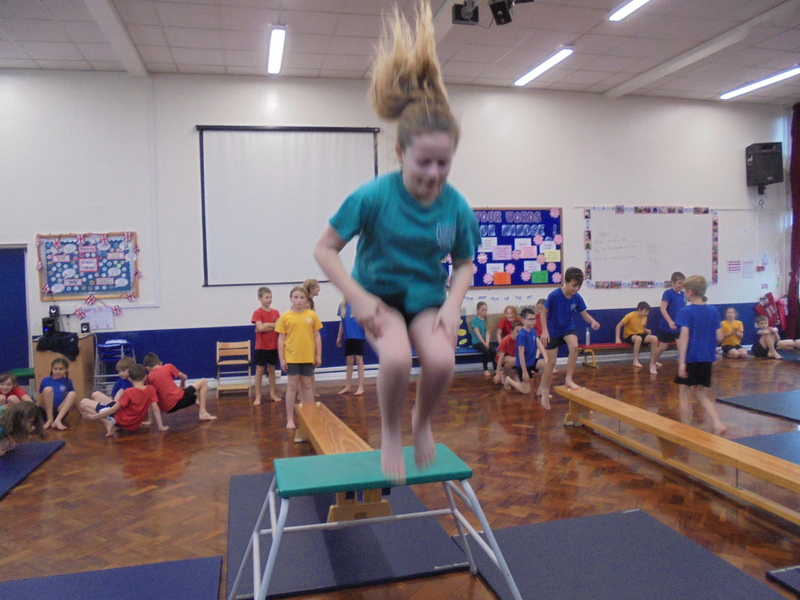 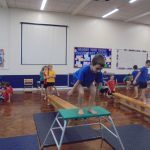 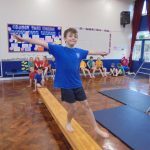 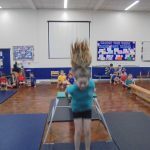 Our Y5 Gymnastics sessions with Mr Warland ended on a high as we finally got the equipment out. 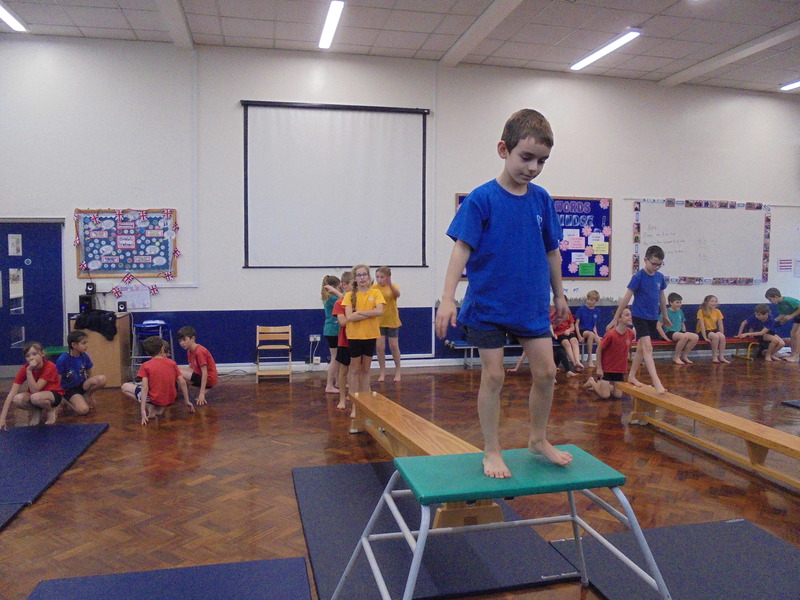 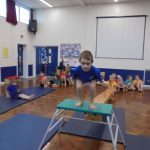 Mats, benches and boxes were all utilised to develop our jumping and balancing skills. 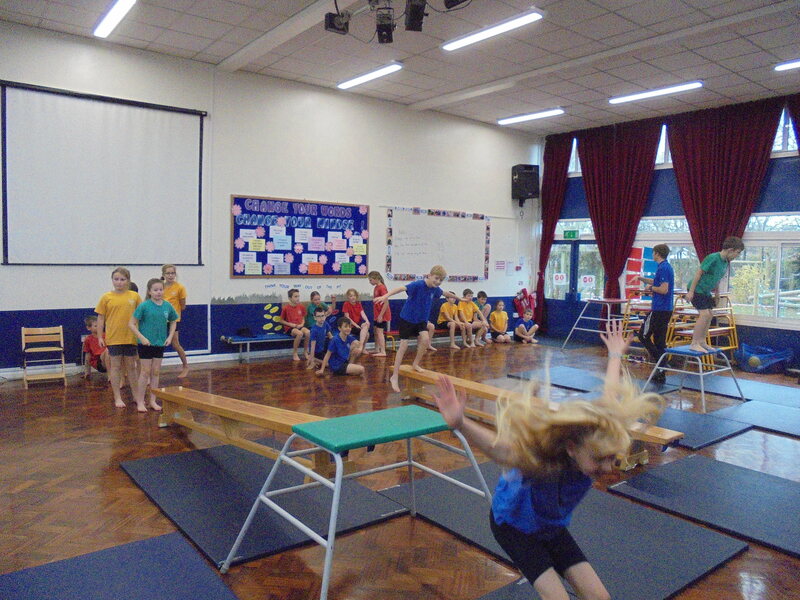 These are action shots and there would be even more action if there wasn’t a delay on the class camera!